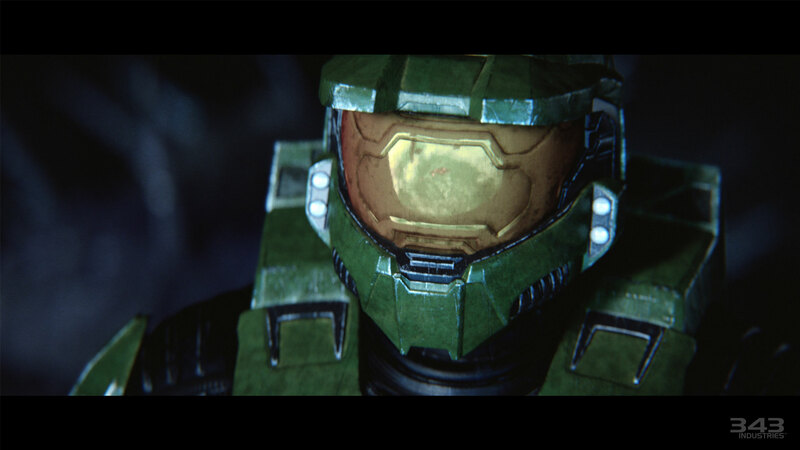 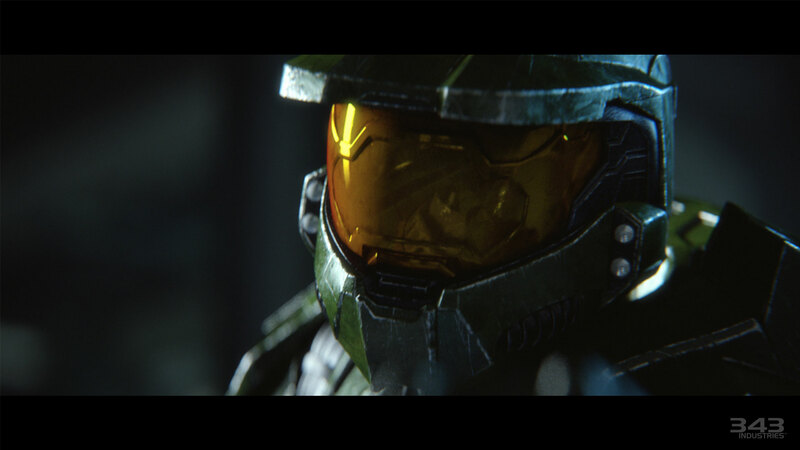 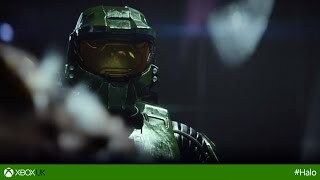 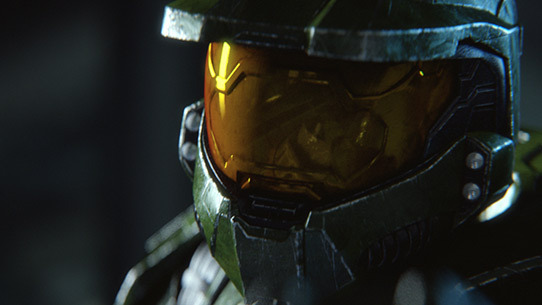 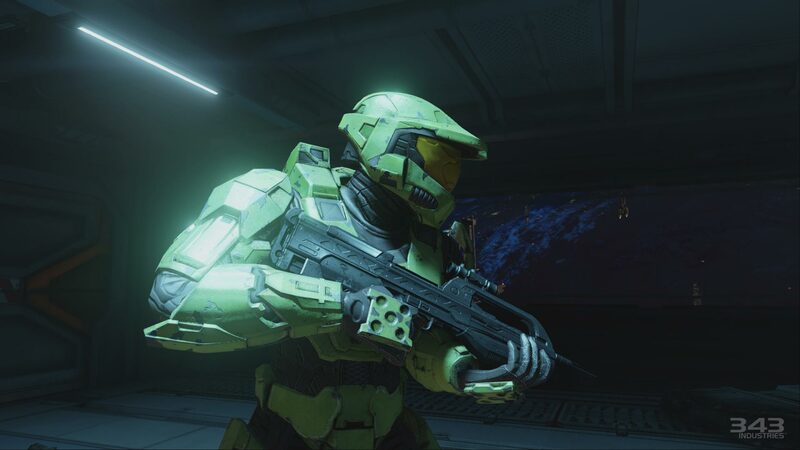 The improved and enhanced Halo: The Master Chief Collection is included with Xbox Game Pass. 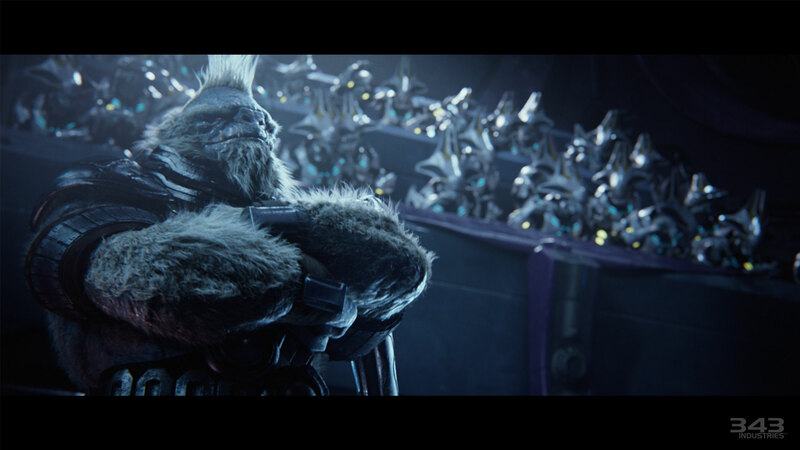 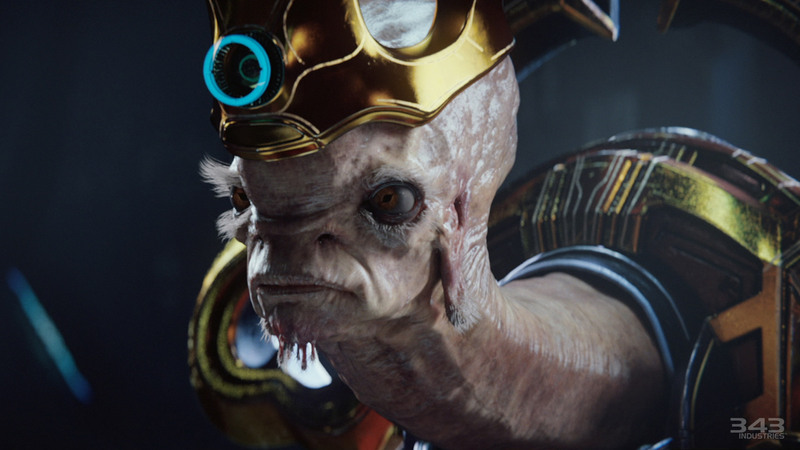 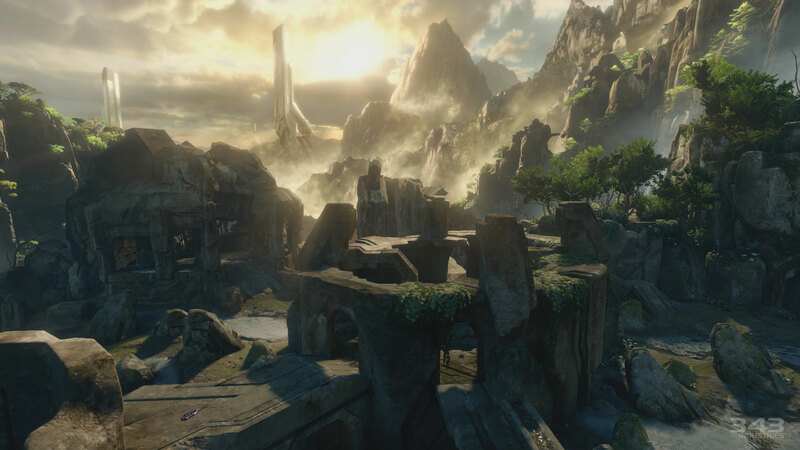 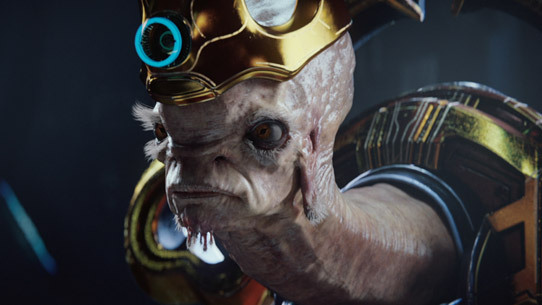 Featuring visual enhancements with up to 4K UHD resolution on Xbox One X, improved matchmaking, offline LAN, customizable installation options, and faster load times, it’s the definitive way to experience the ultimate Halo saga. 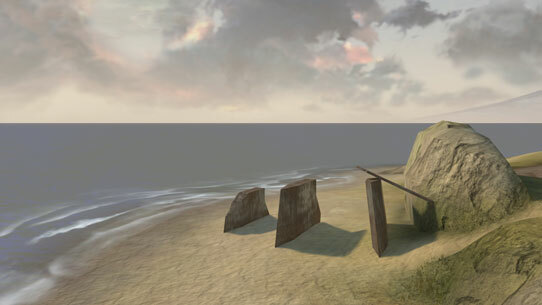 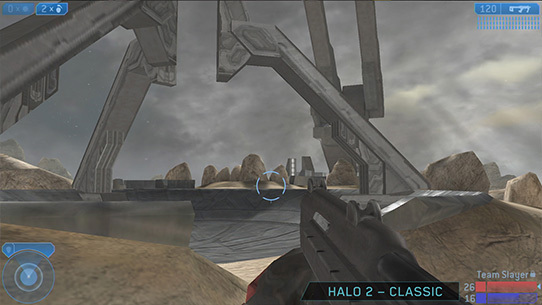 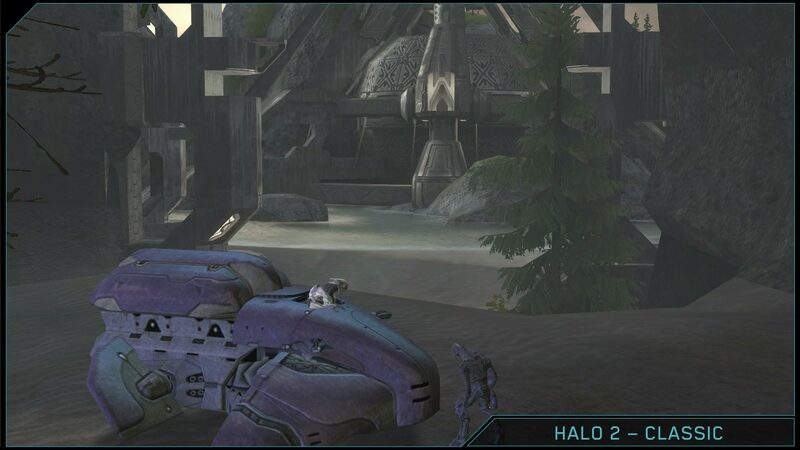 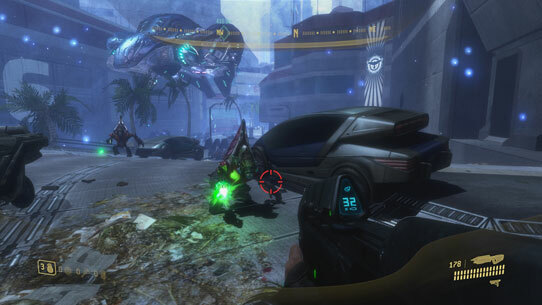 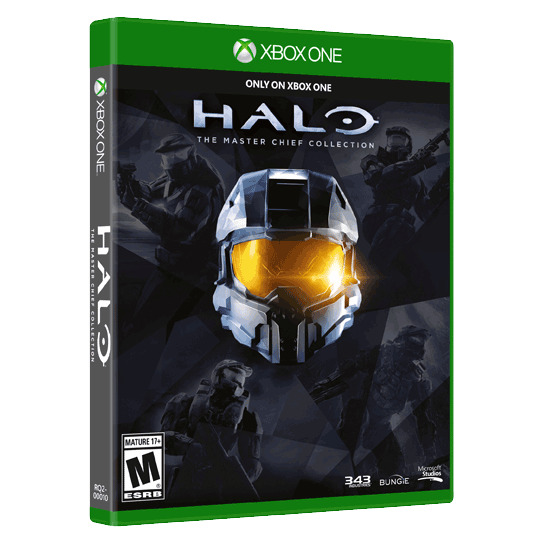 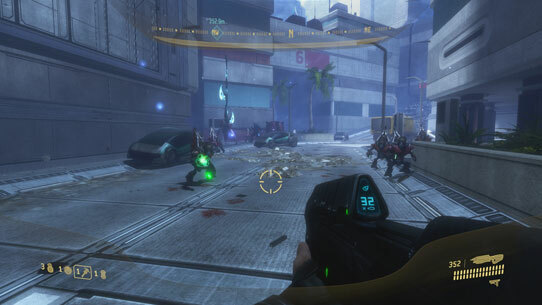 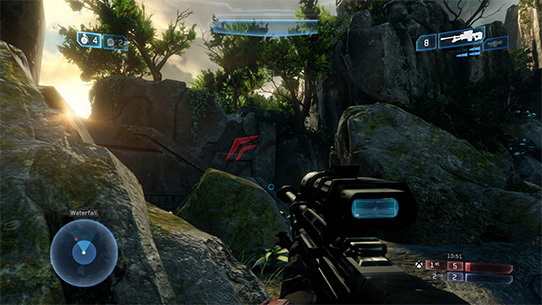 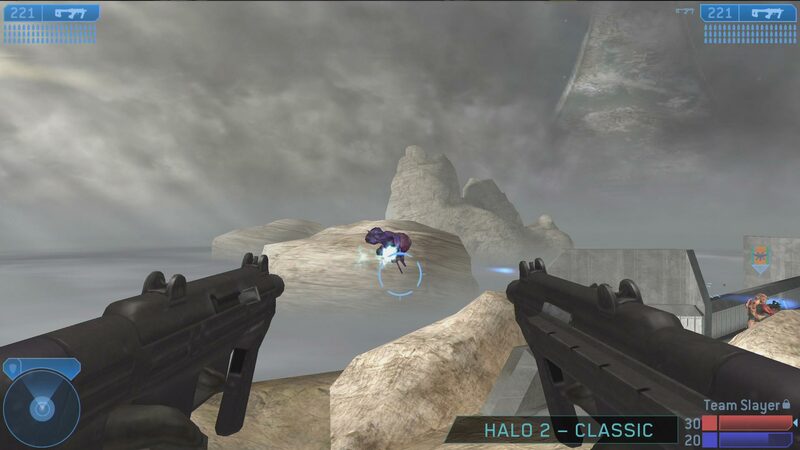 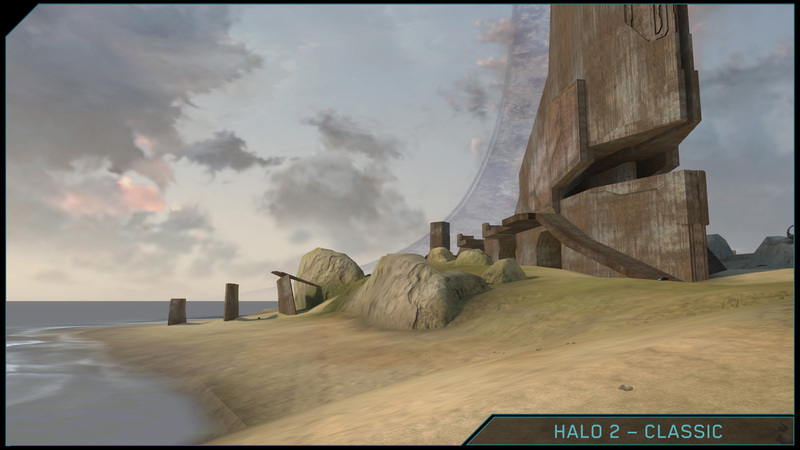 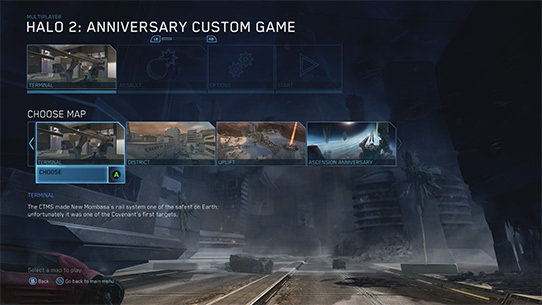 Includes the extensive suite of campaign, multiplayer and additional features from Halo: Combat Evolved Anniversary, Halo 2: Anniversary, Halo 3, and Halo 4 - all updated to run at 60FPS. 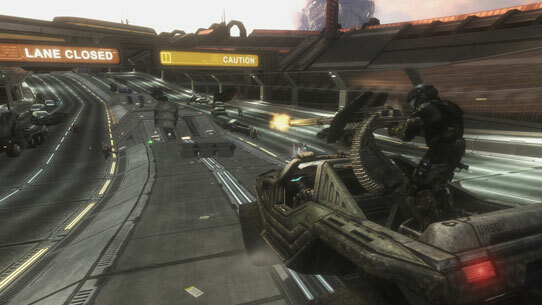 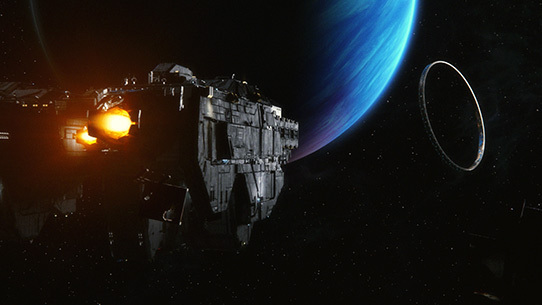 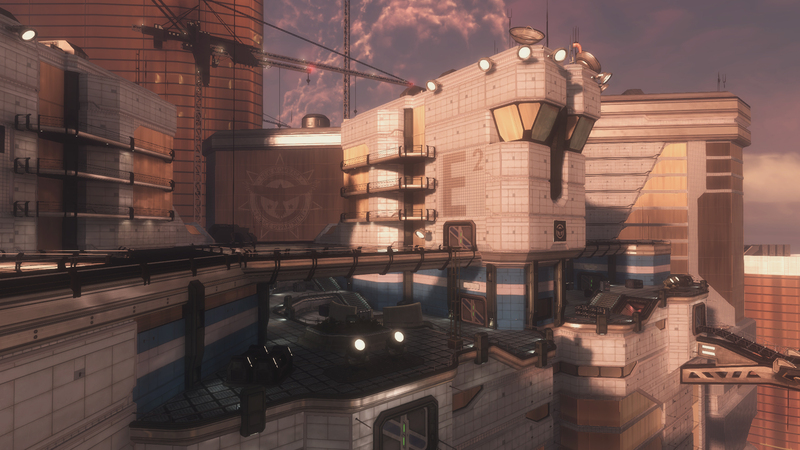 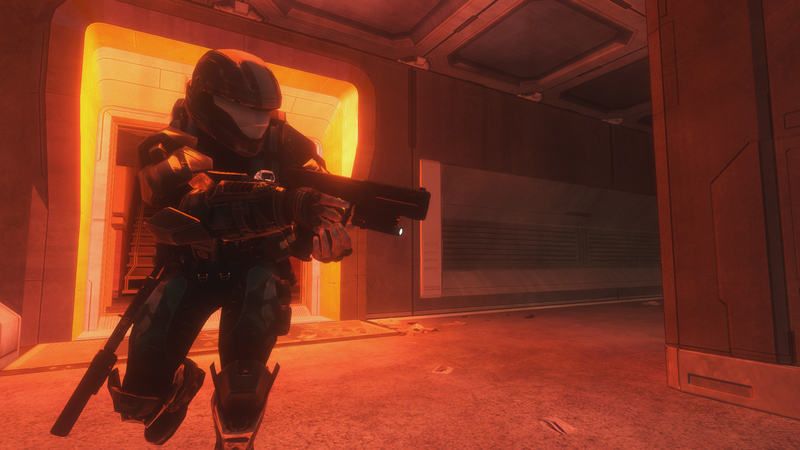 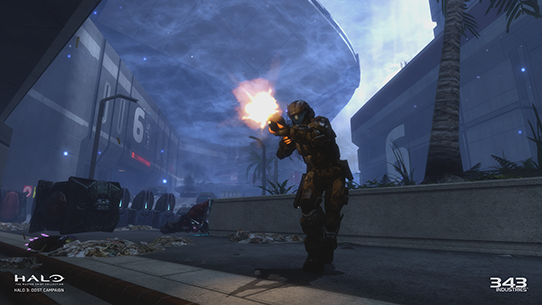 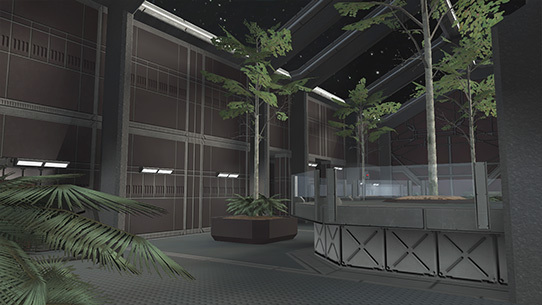 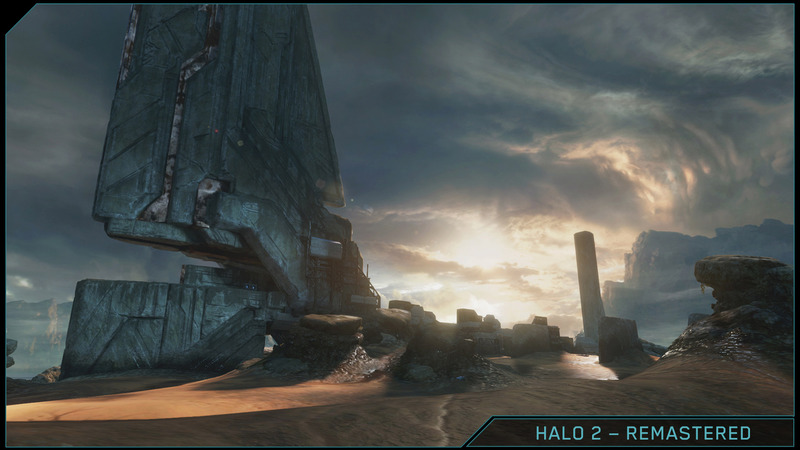 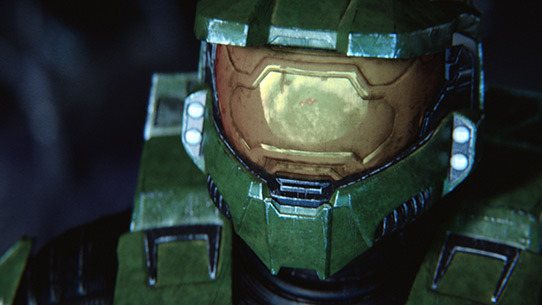 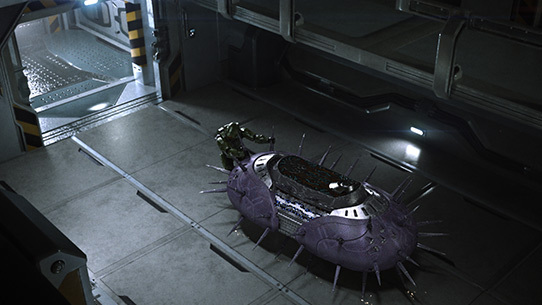 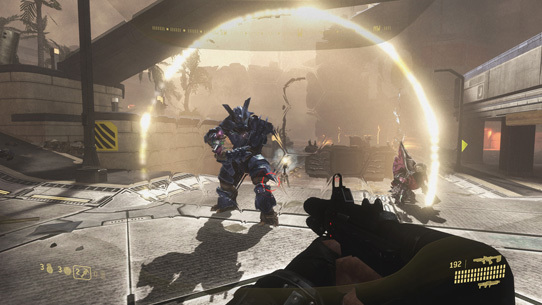 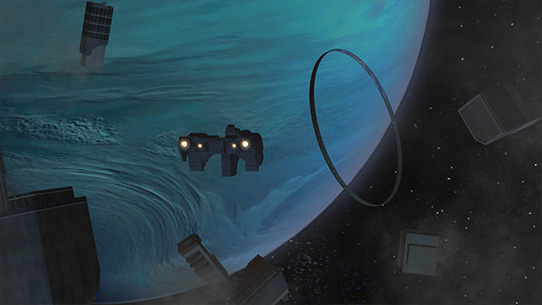 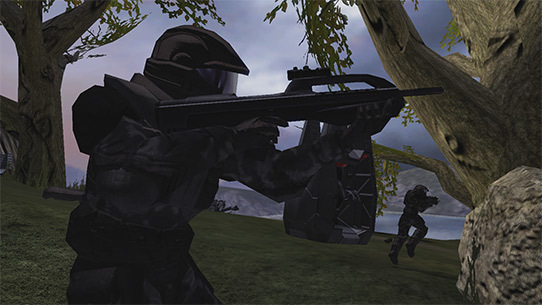 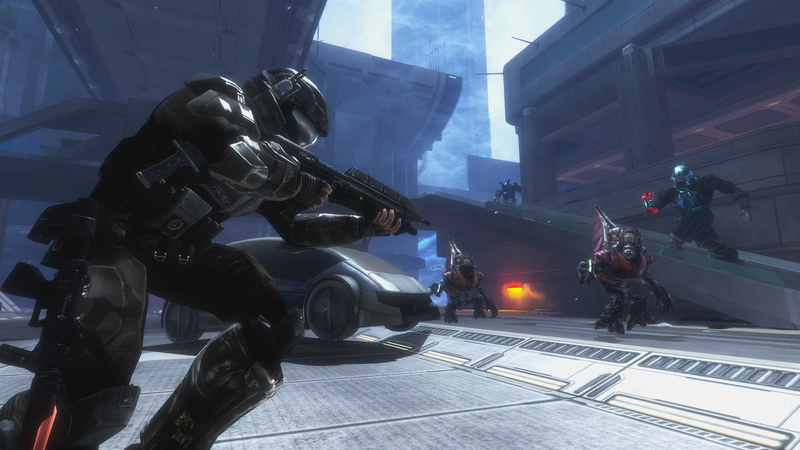 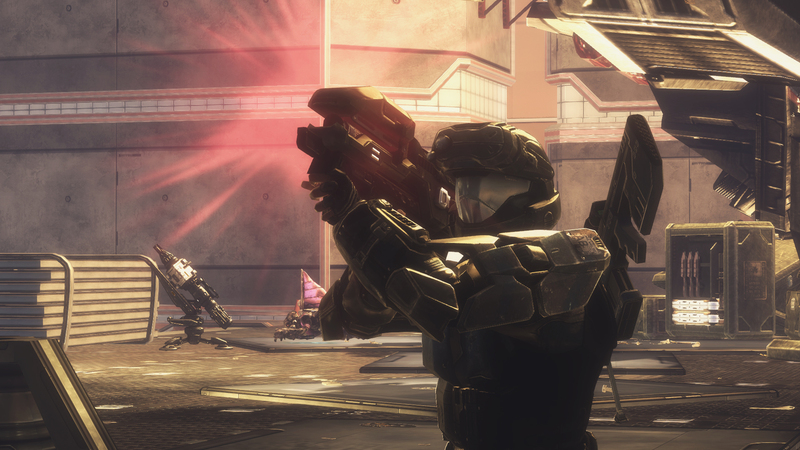 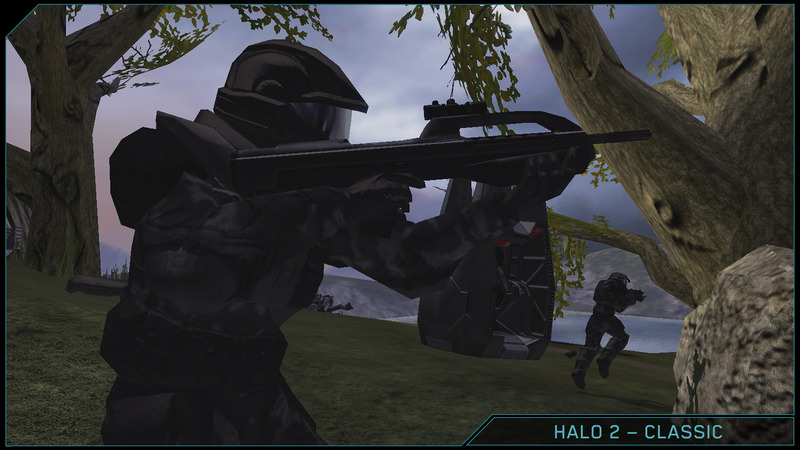 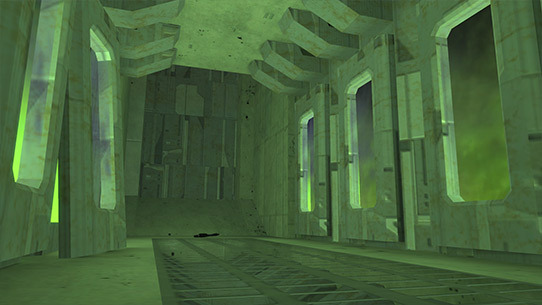 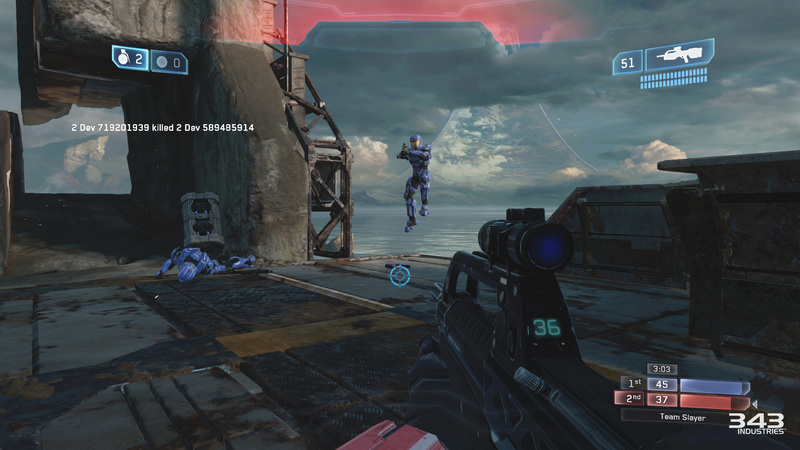 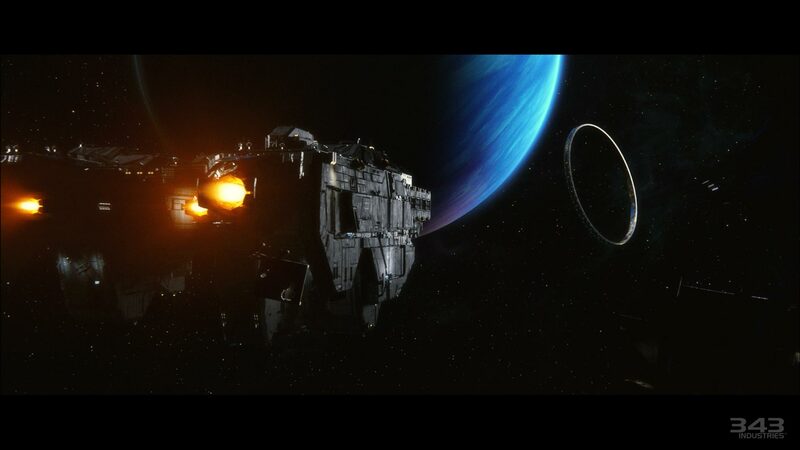 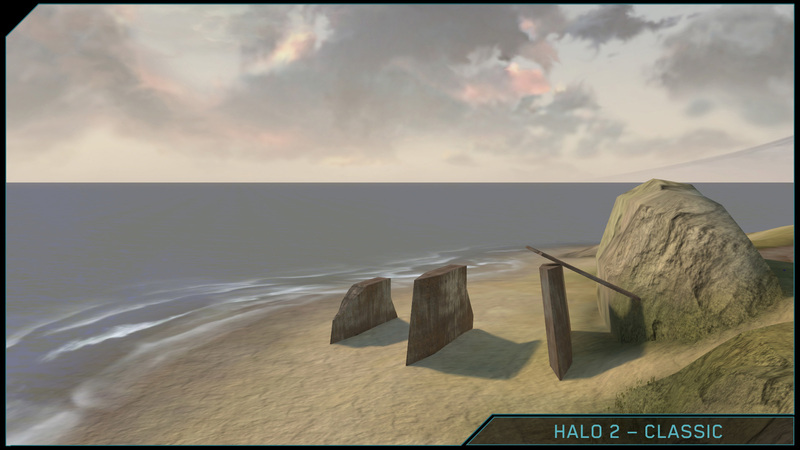 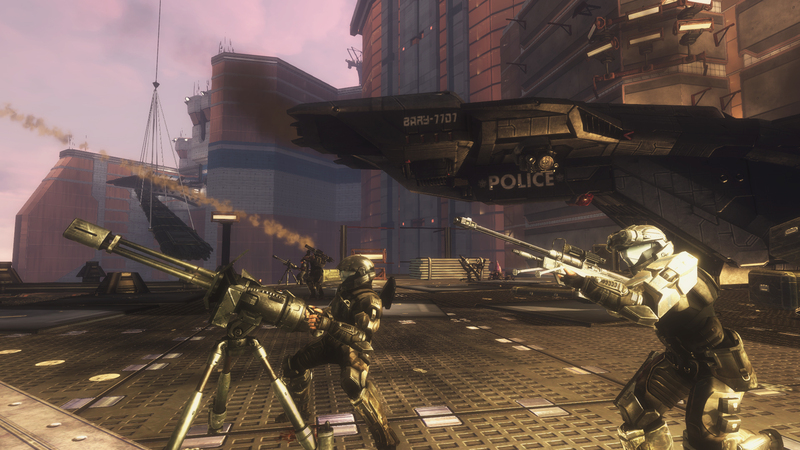 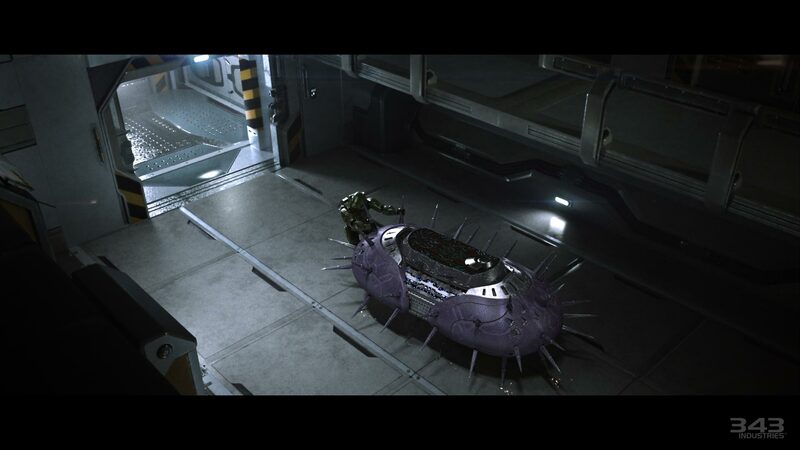 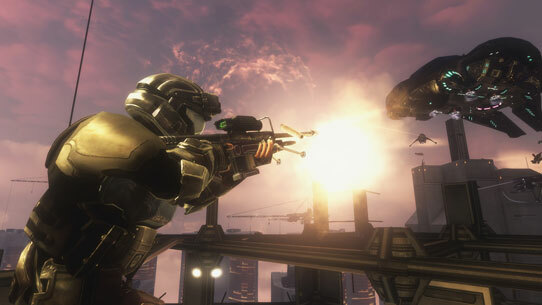 The Halo 3: ODST* campaign for Halo: The Master Chief Collection comes to the Xbox One looking better than ever. 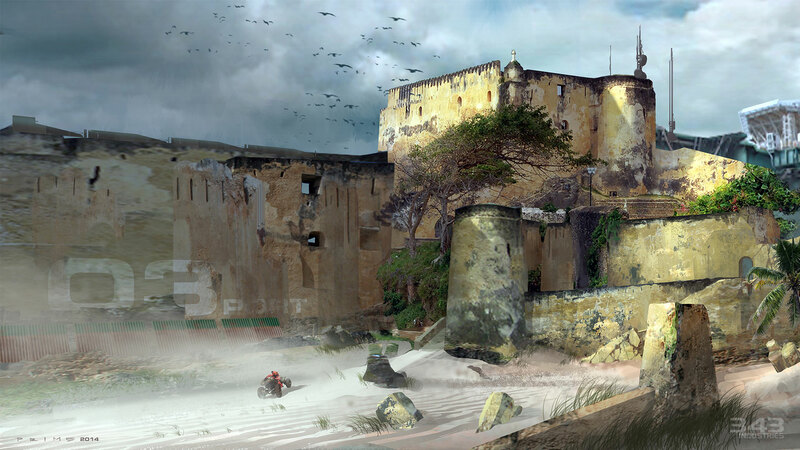 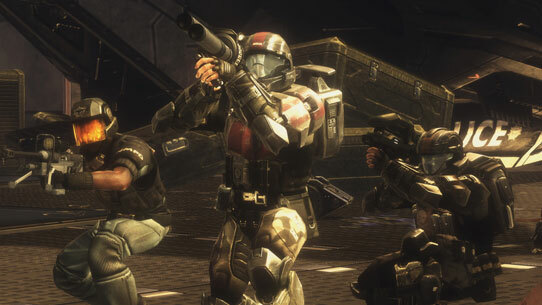 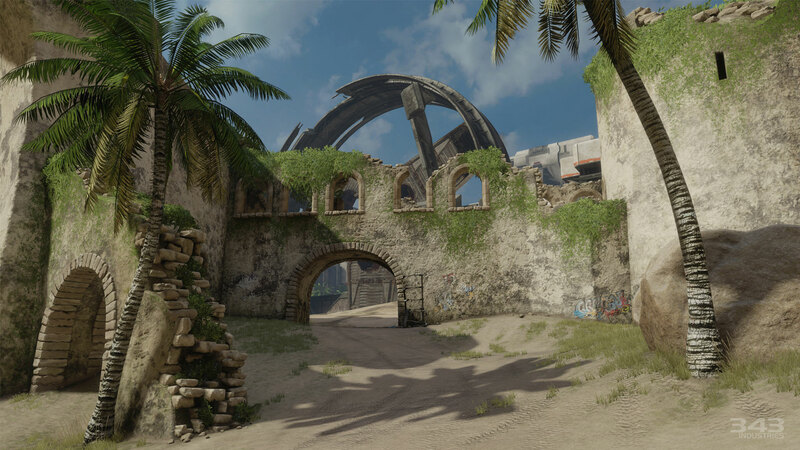 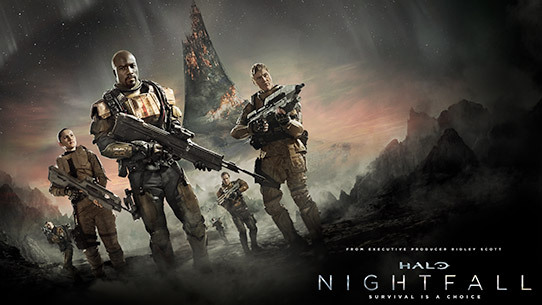 Running at 1080p/60fps, experience the events leading up to Halo 3 through the eyes of Orbital Drop Shock Troopers (ODST) as they search for clues leading to the whereabouts of their scattered squad and the motivations behind the Covenant's invasion of New Mombasa. 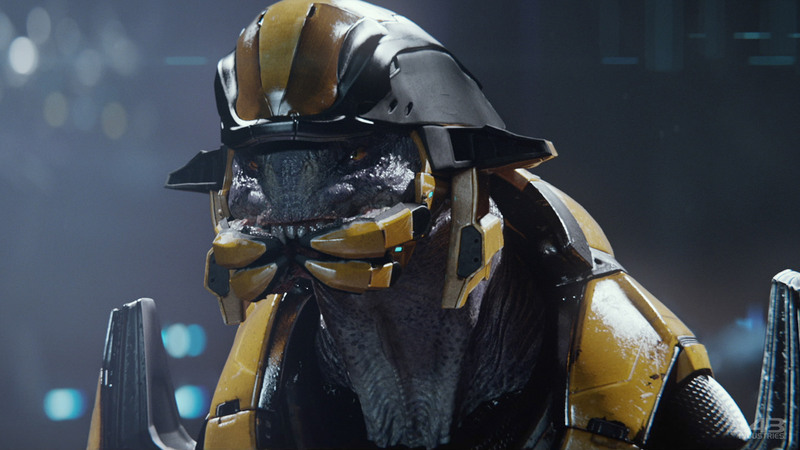 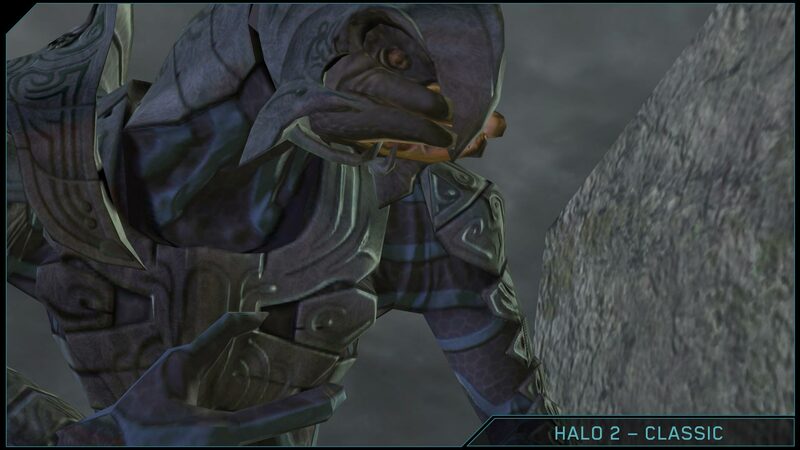 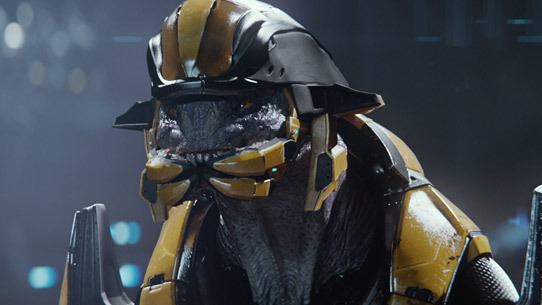 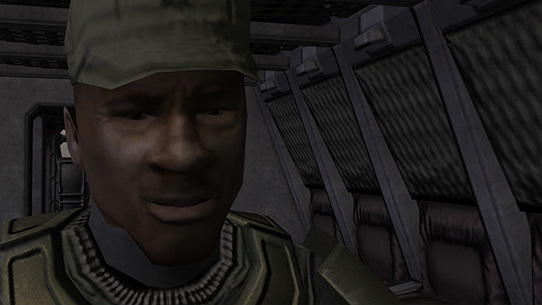 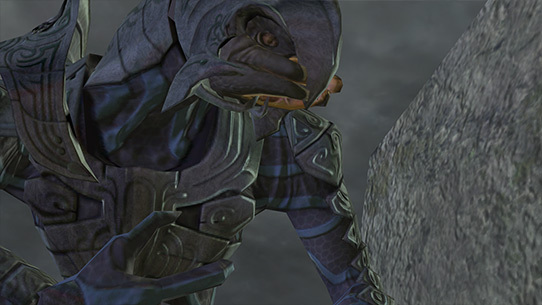 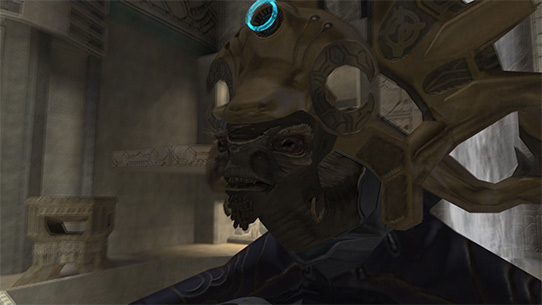 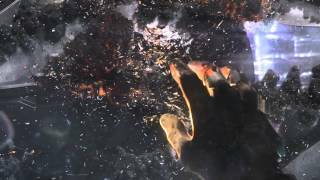 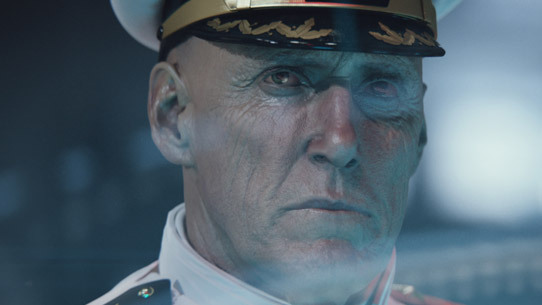 *Halo: The Master Chief Collection is required to play the (digital only) Halo 3: ODST campaign. 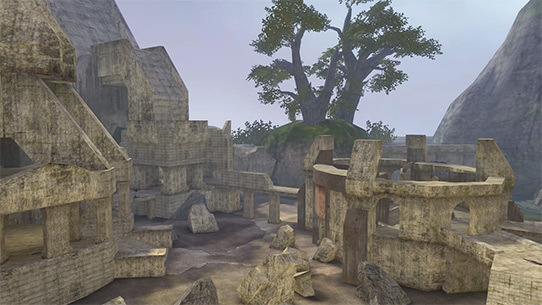 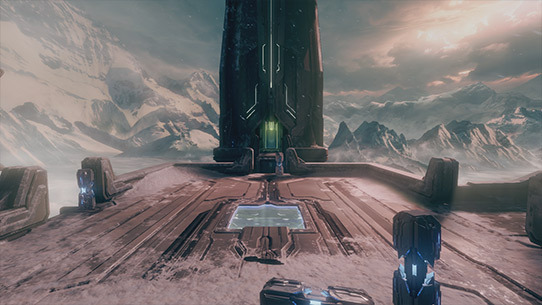 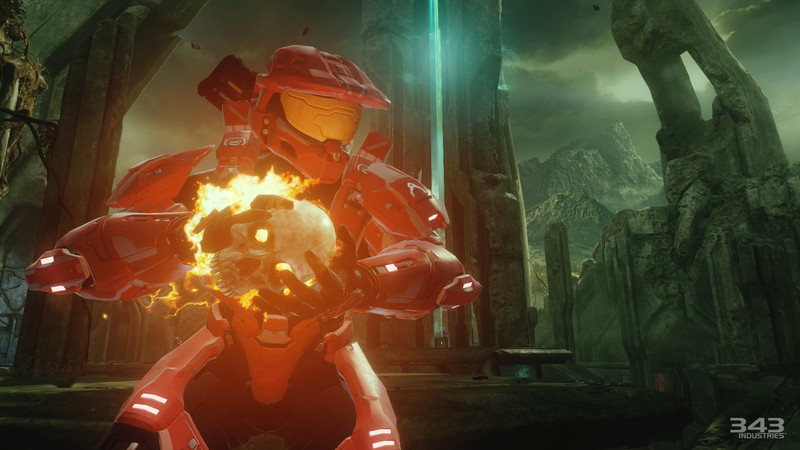 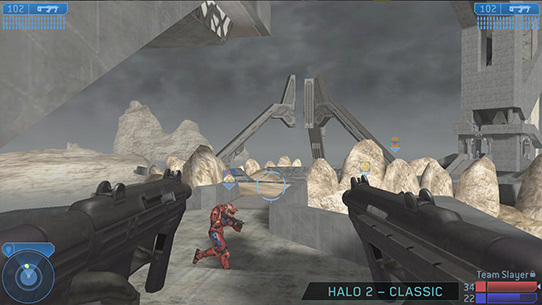 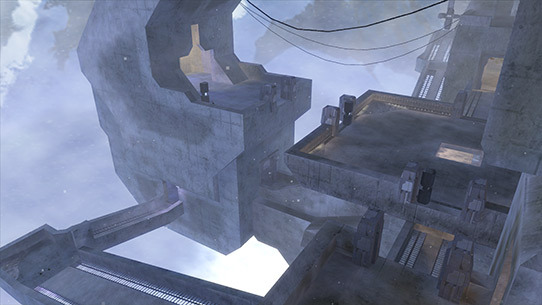 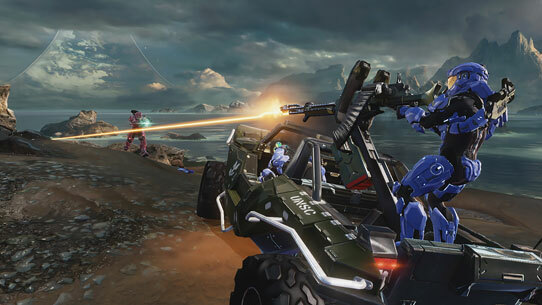 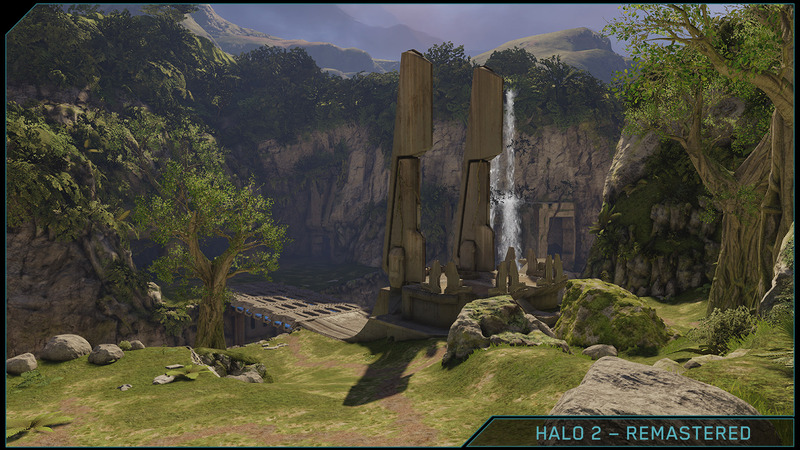 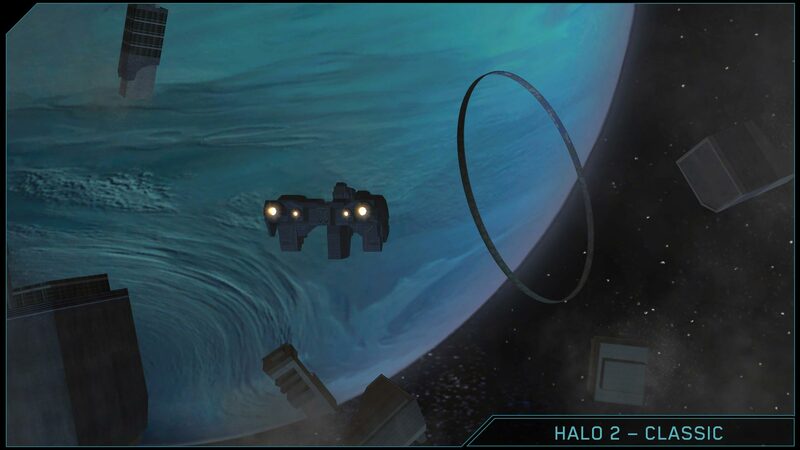 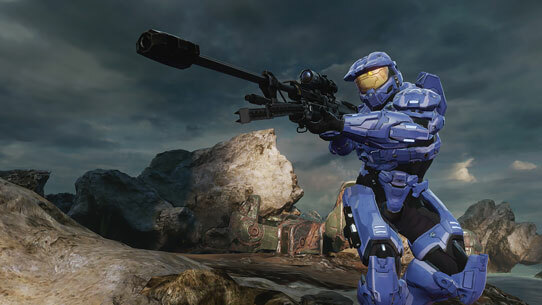 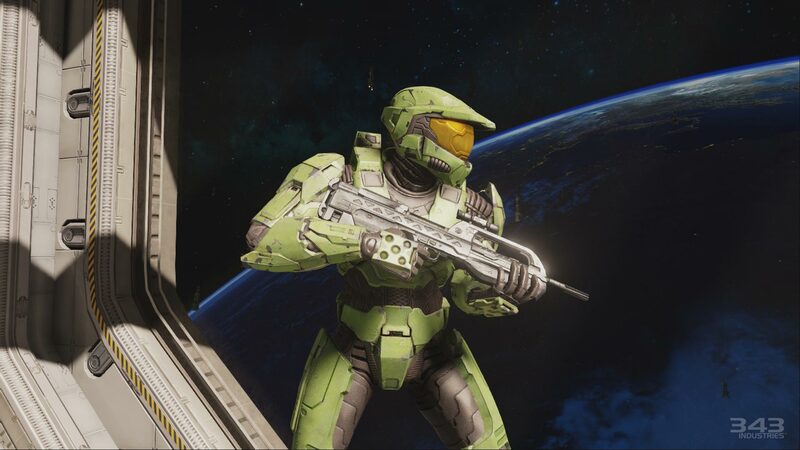 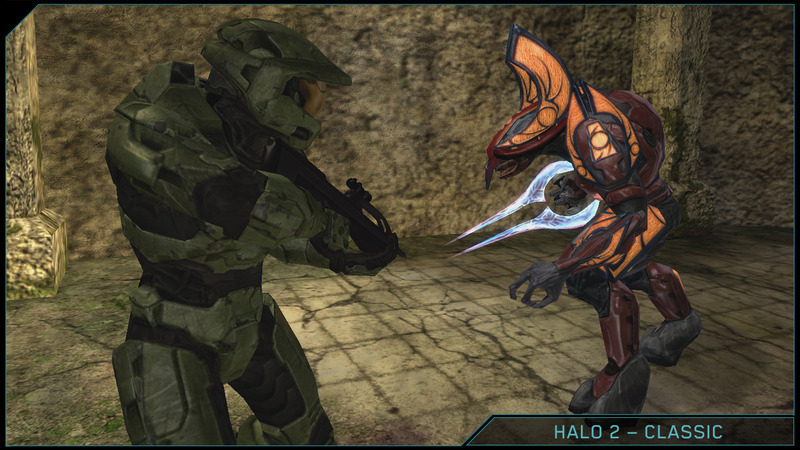 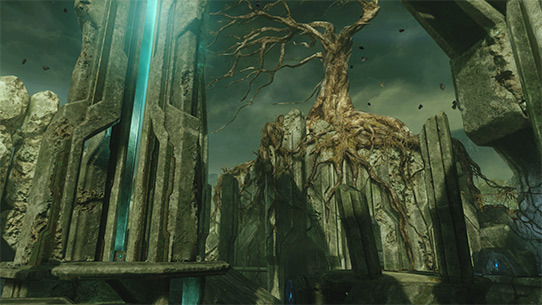 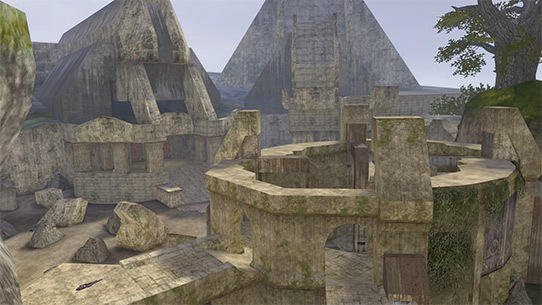 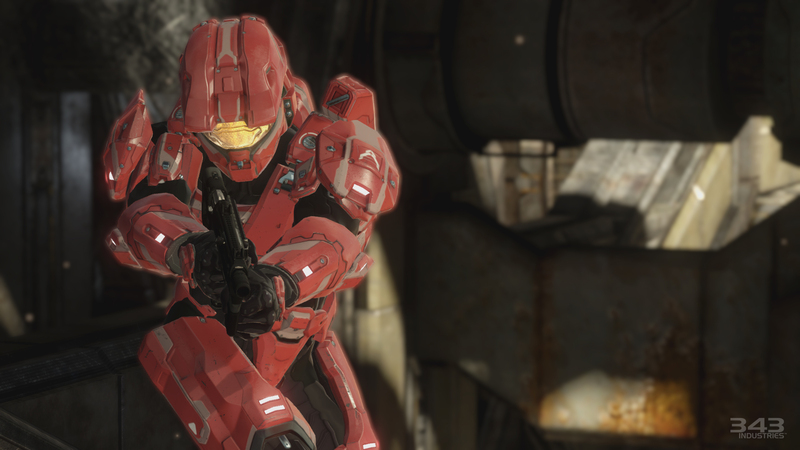 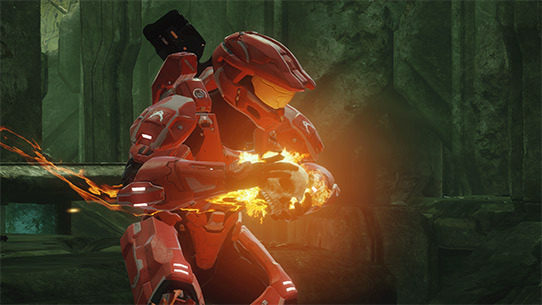 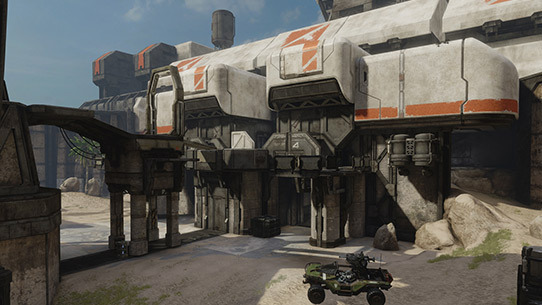 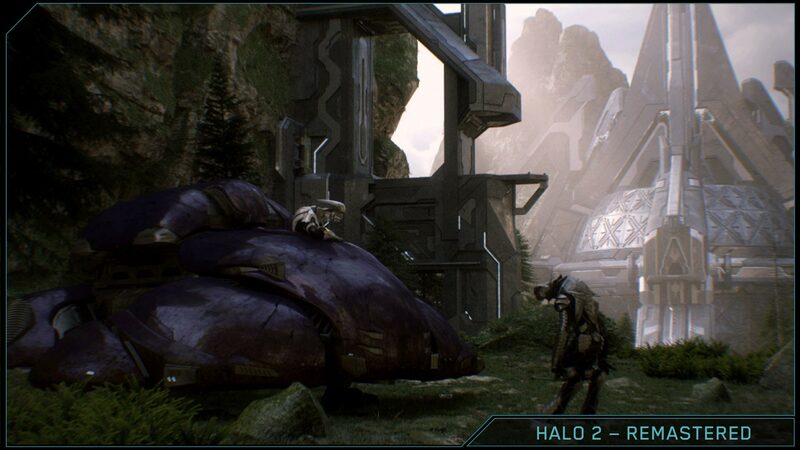 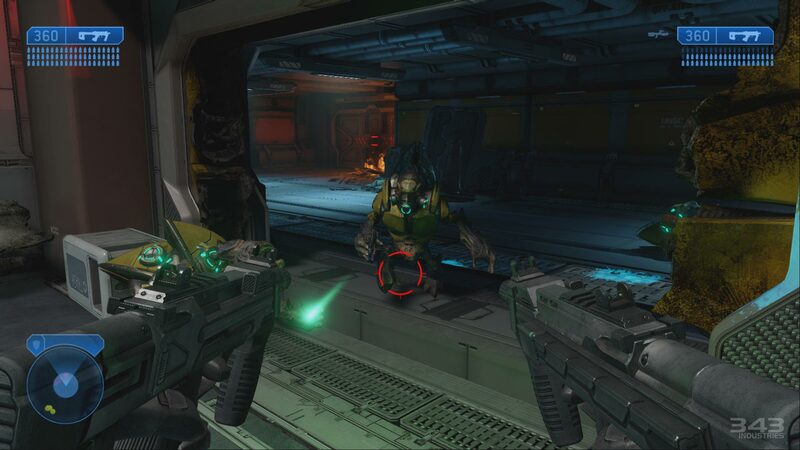 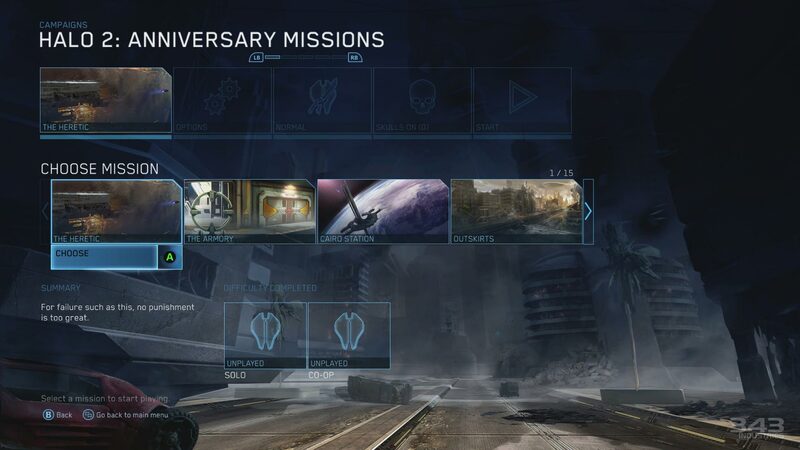 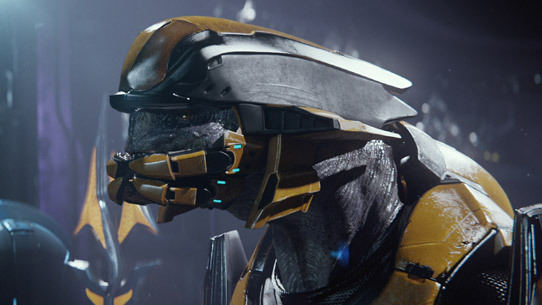 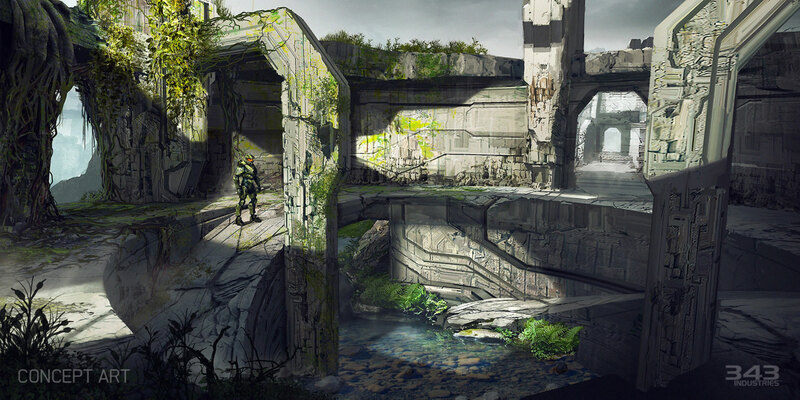 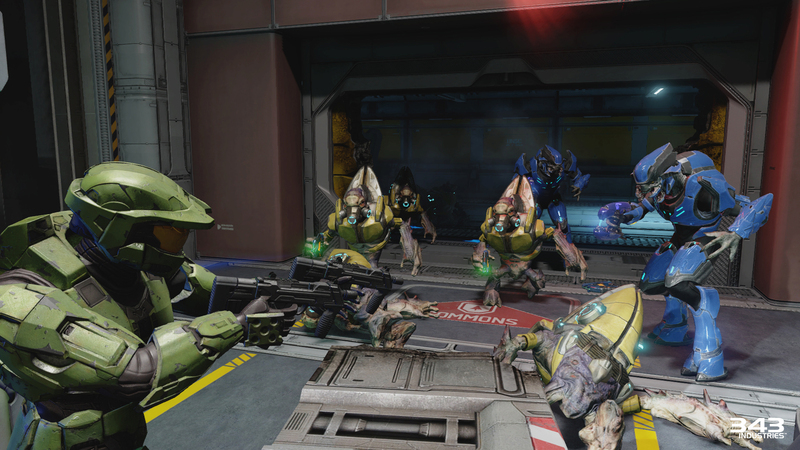 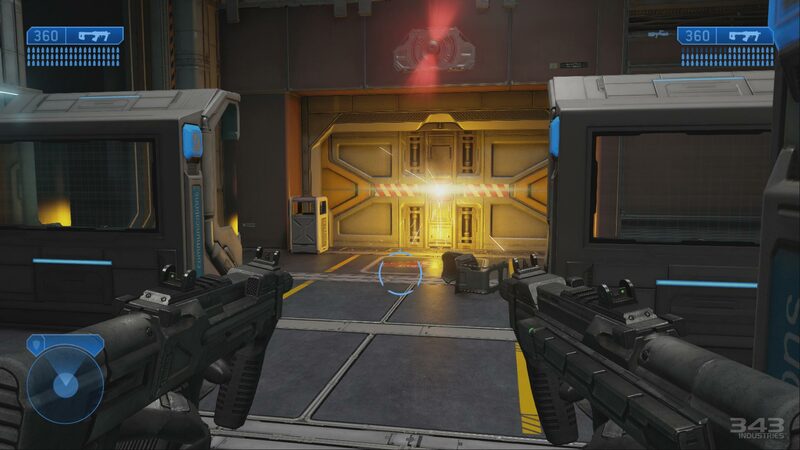 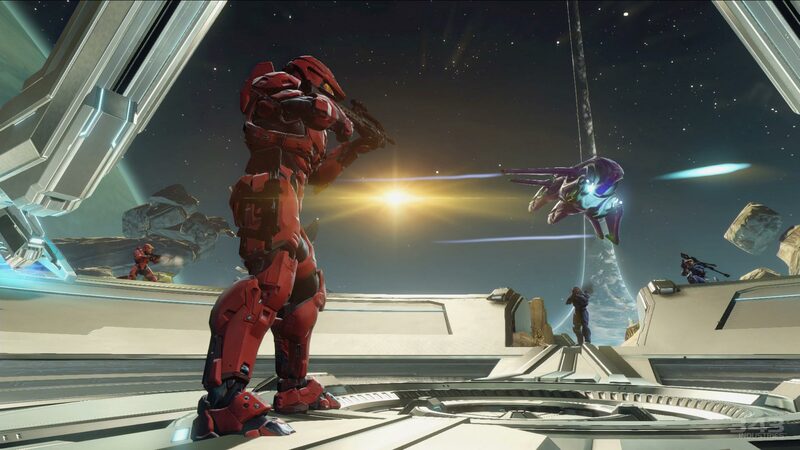 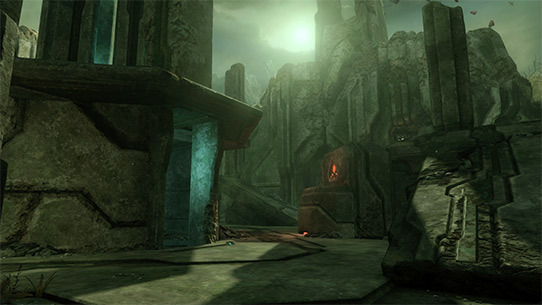 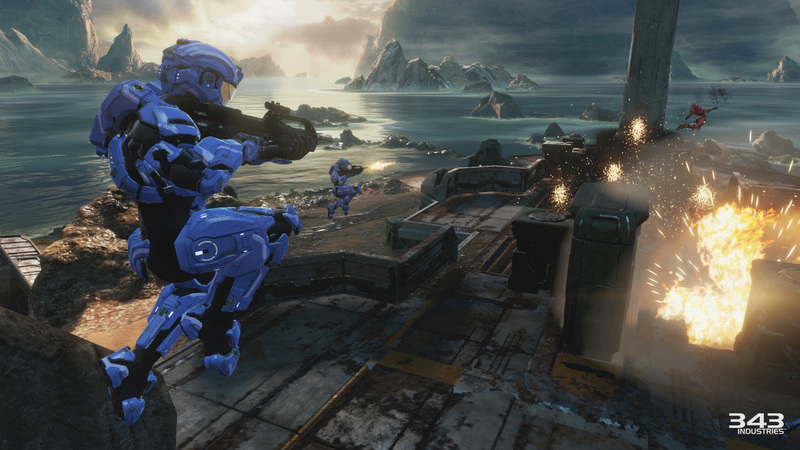 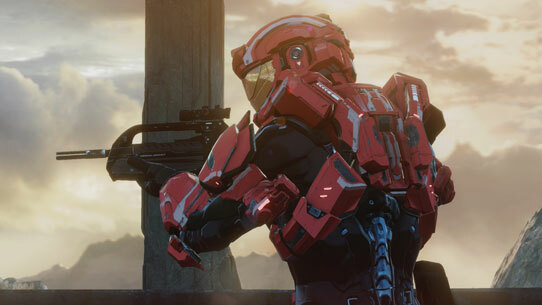 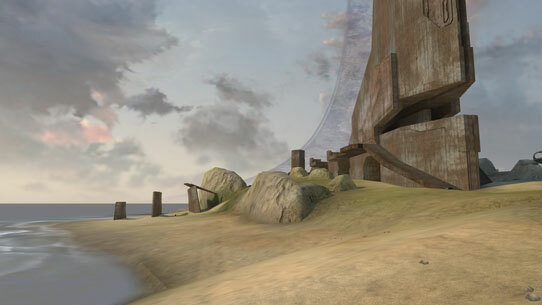 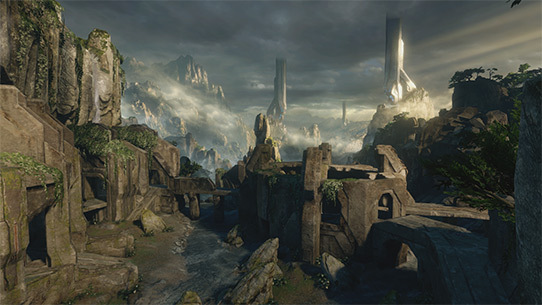 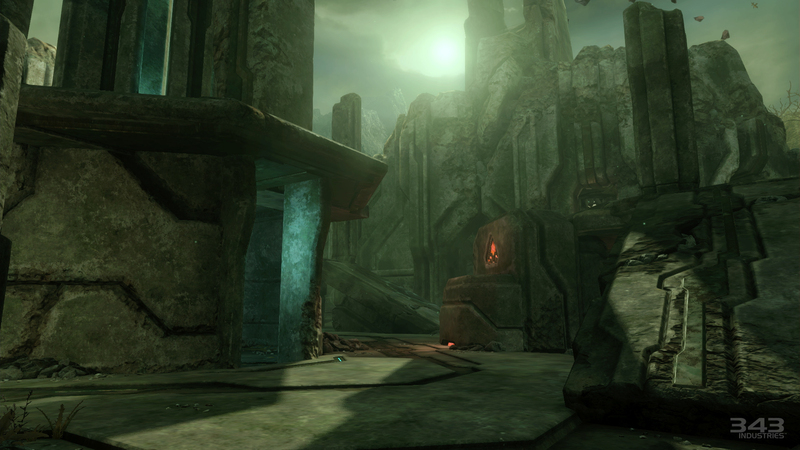 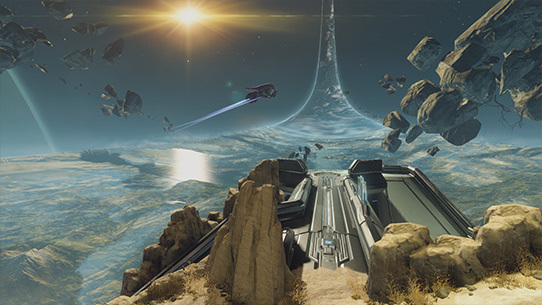 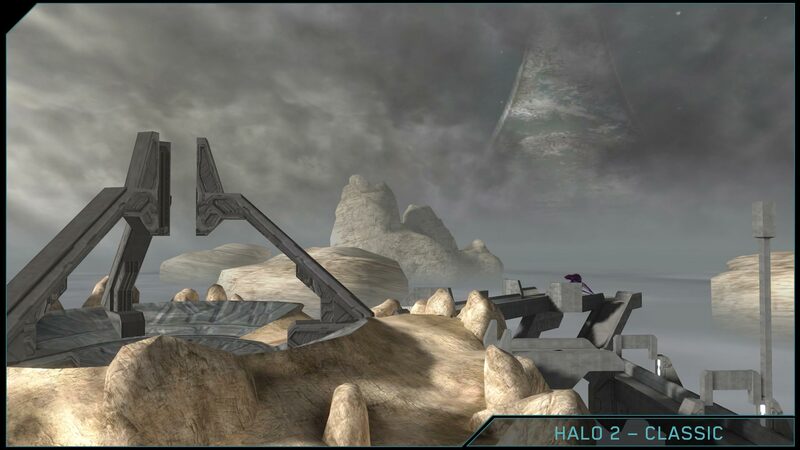 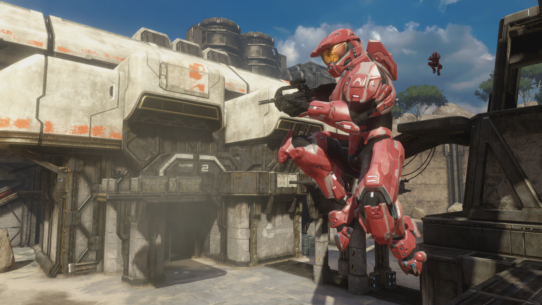 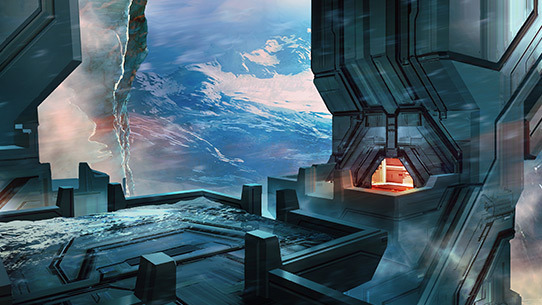 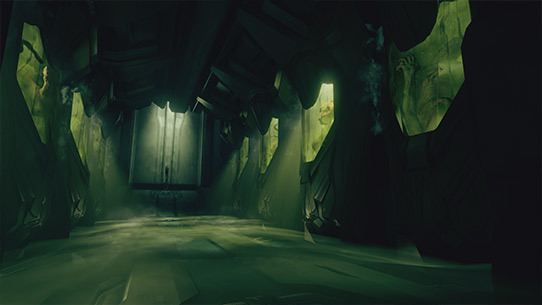 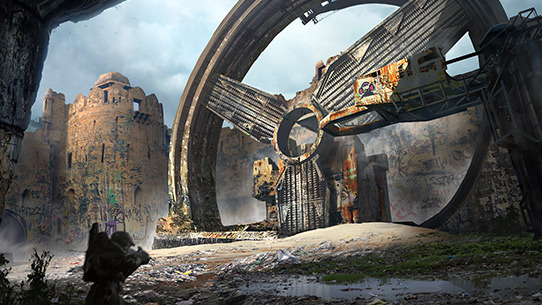 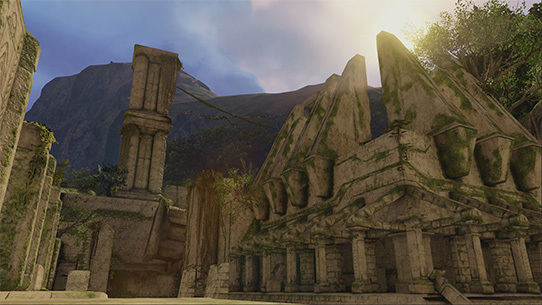 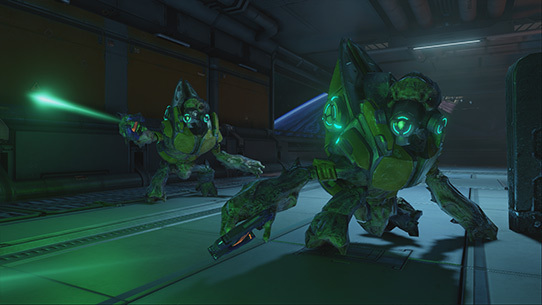 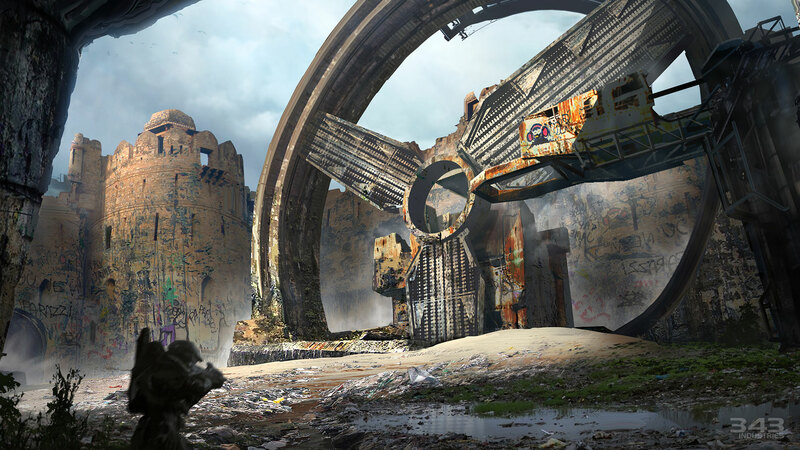 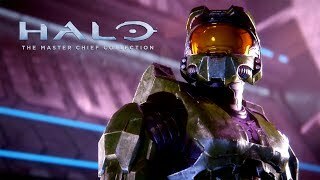 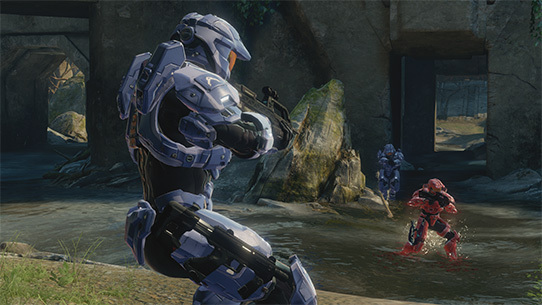 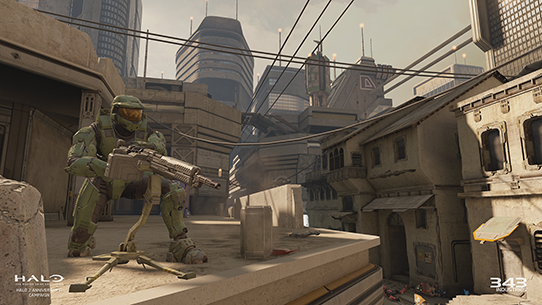 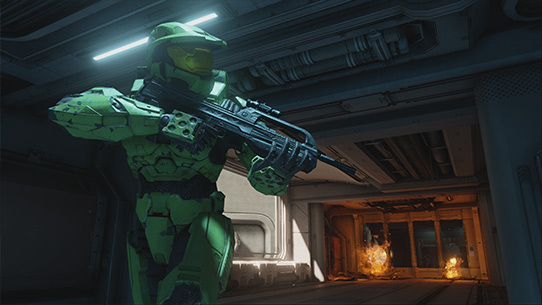 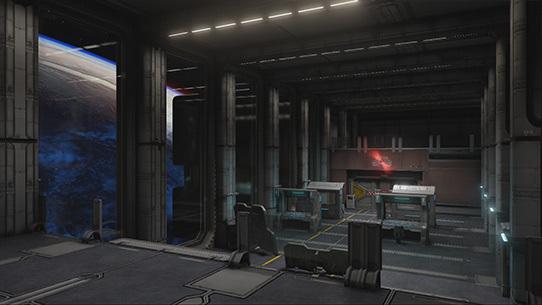 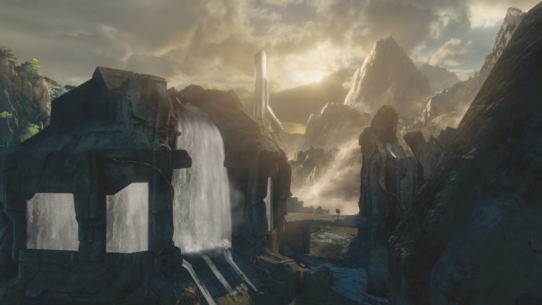 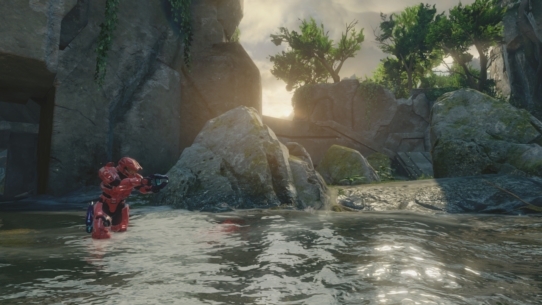 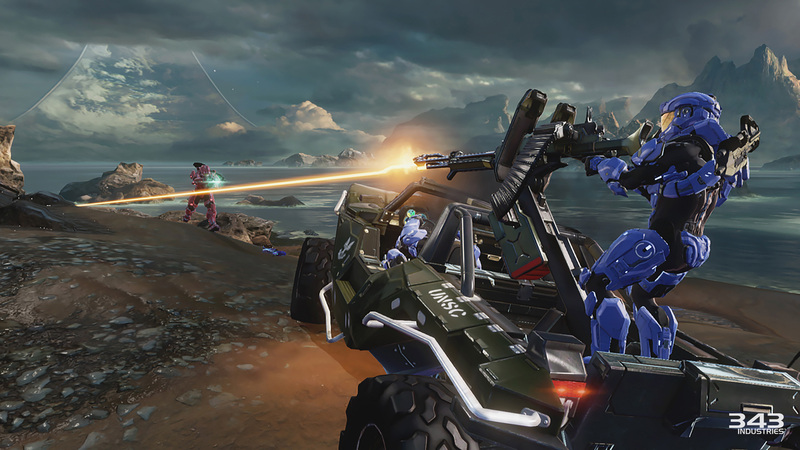 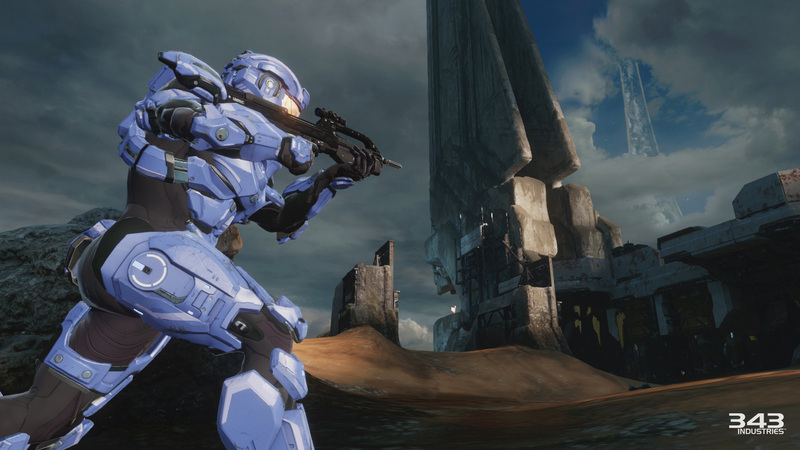 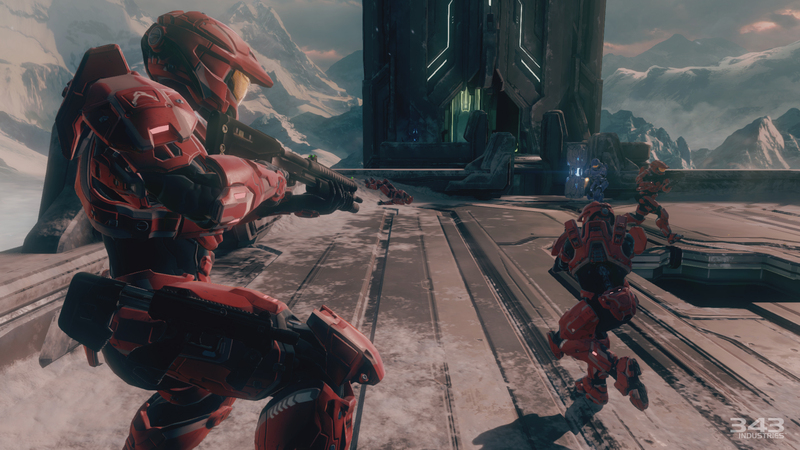 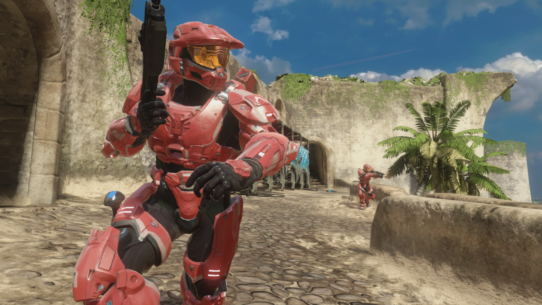 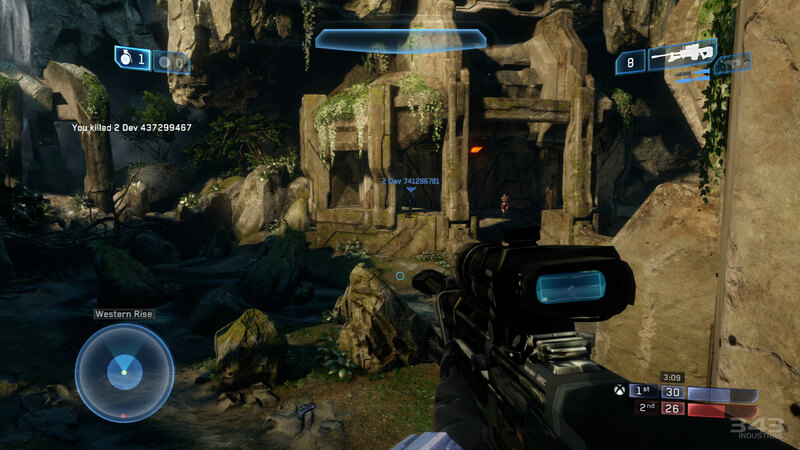 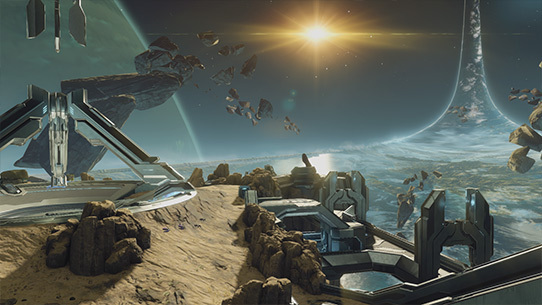 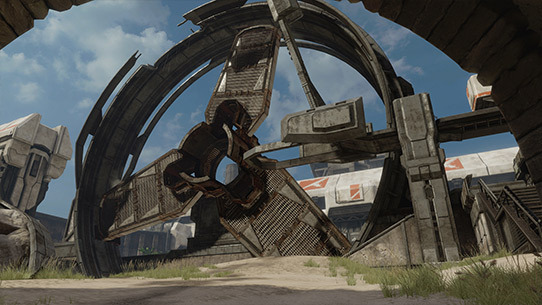 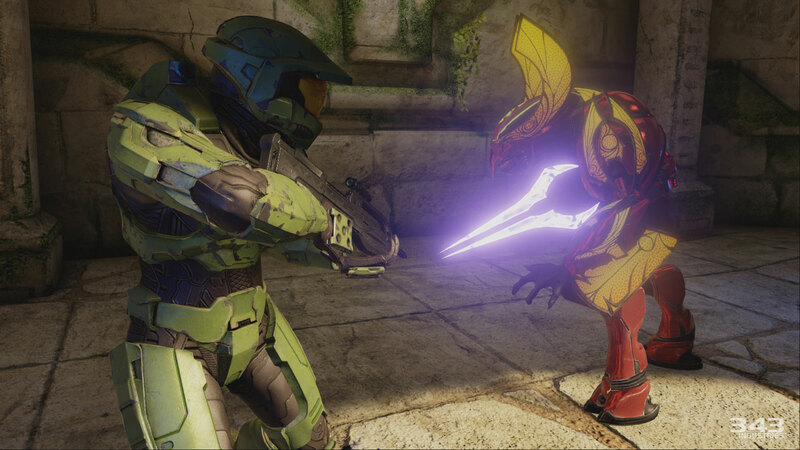 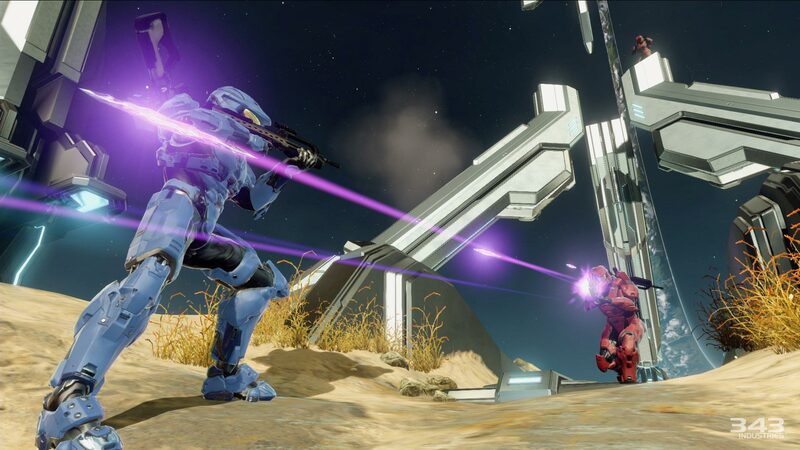 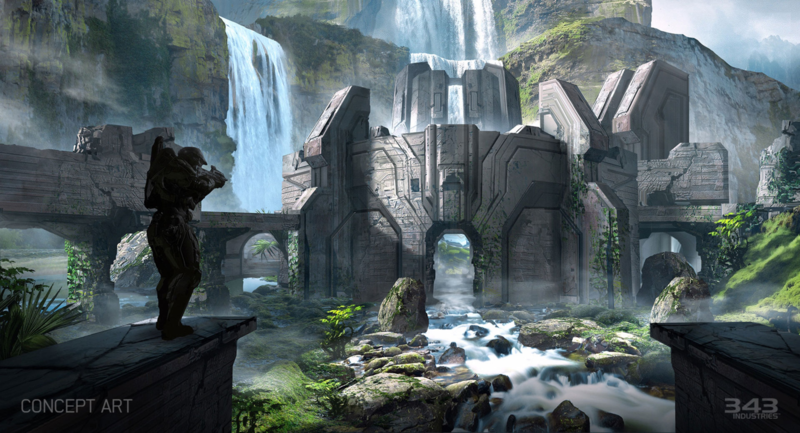 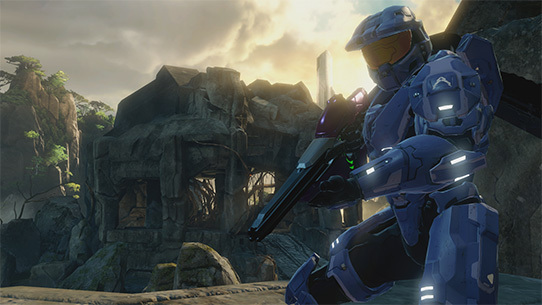 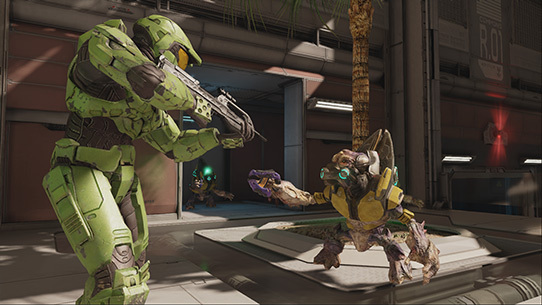 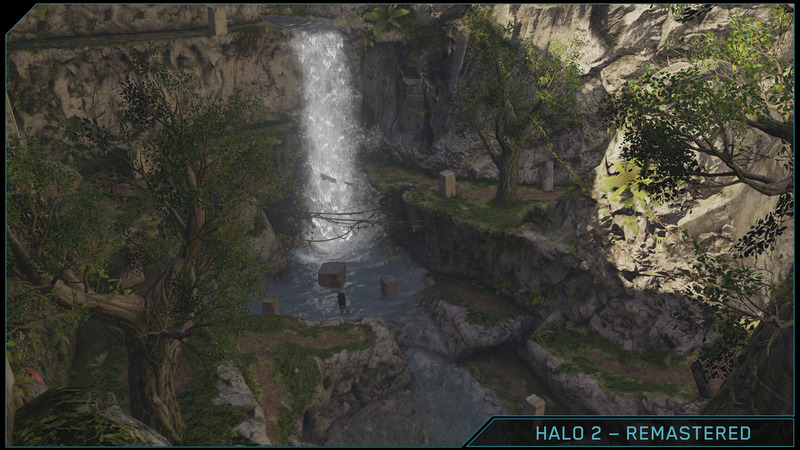 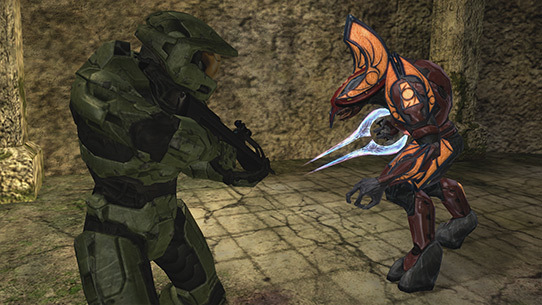 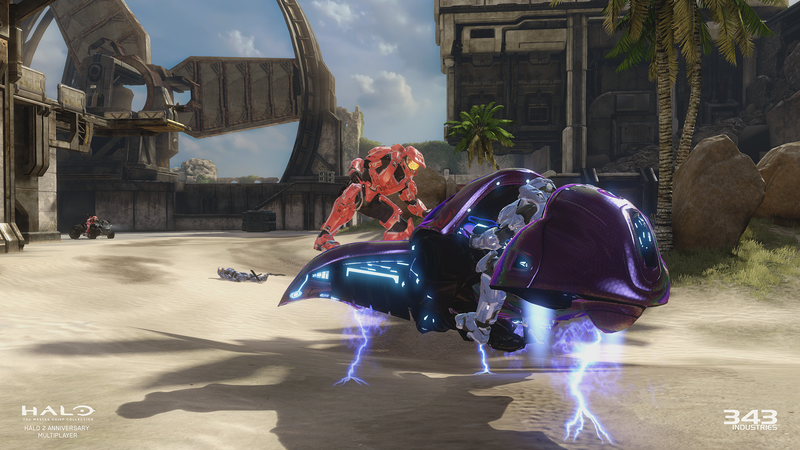 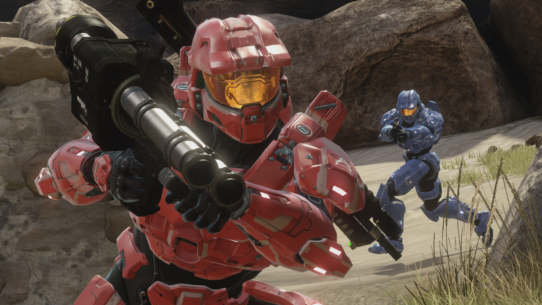 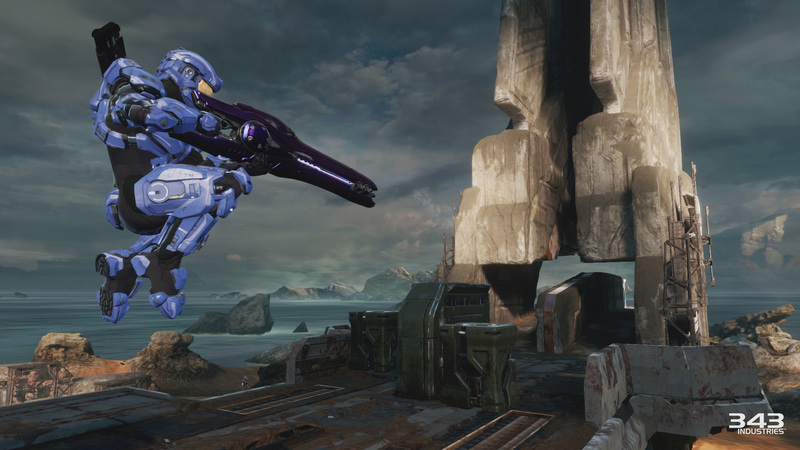 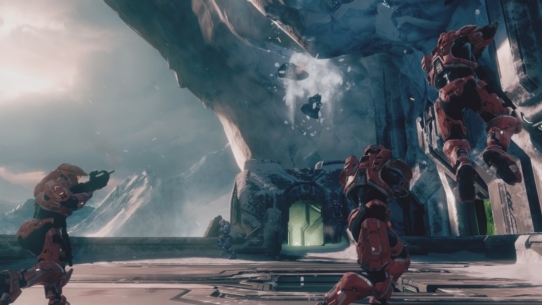 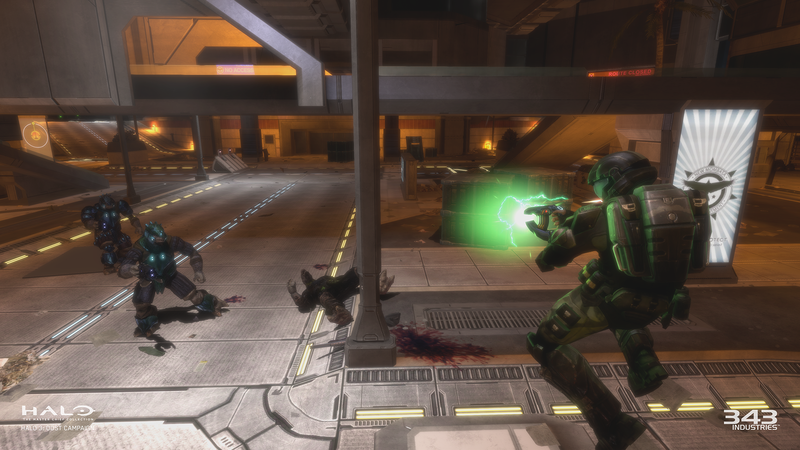 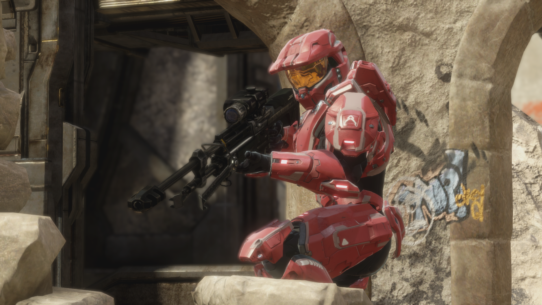 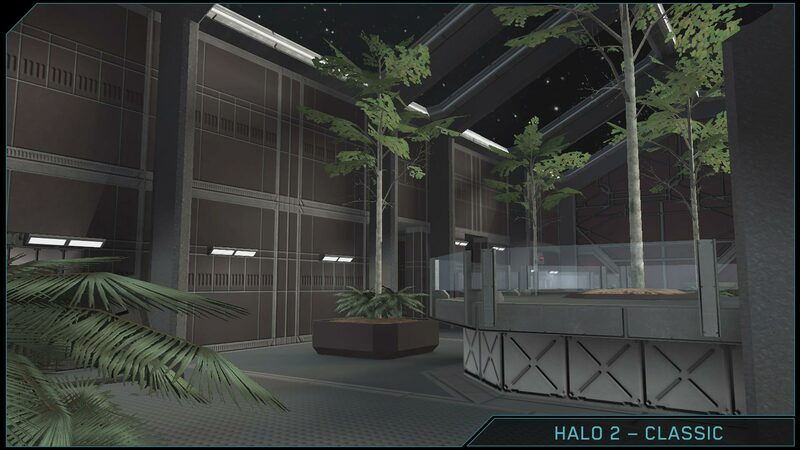 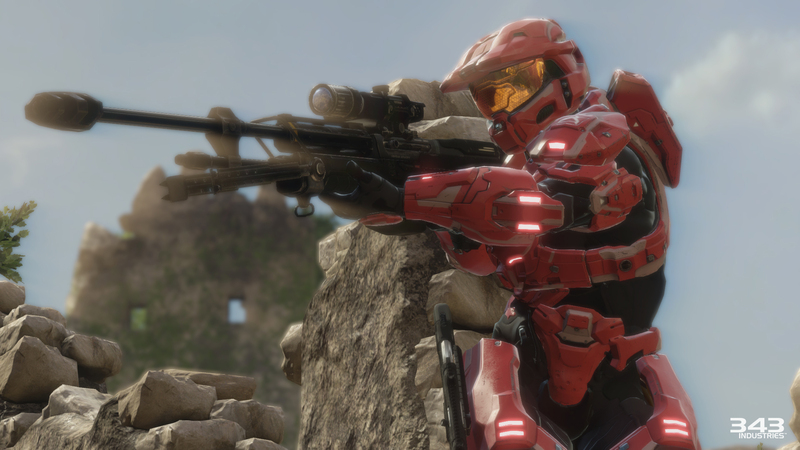 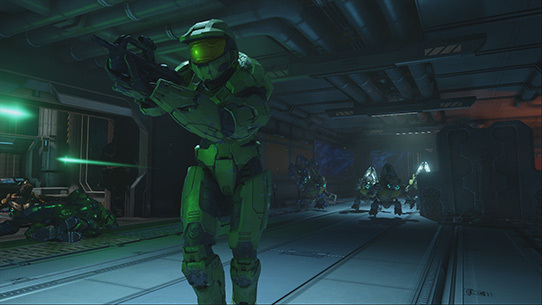 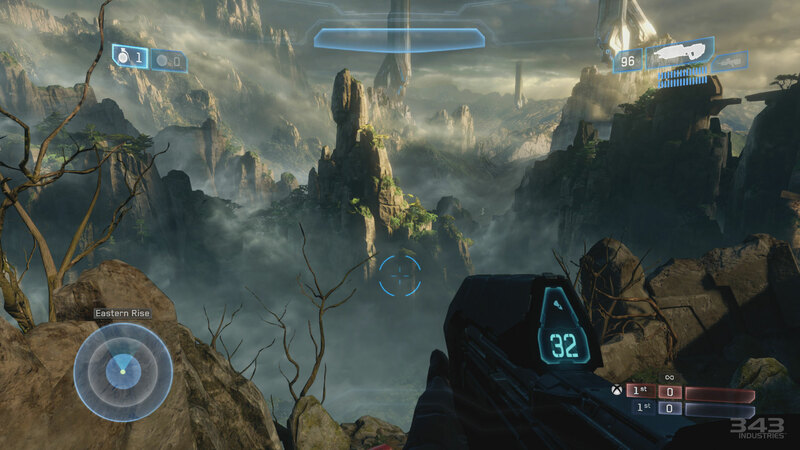 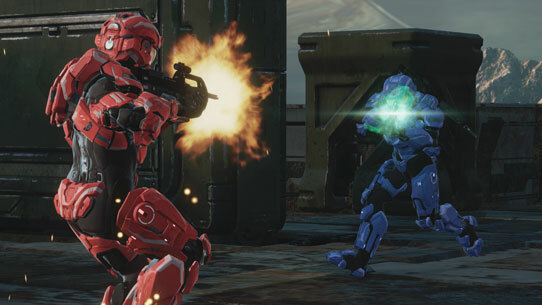 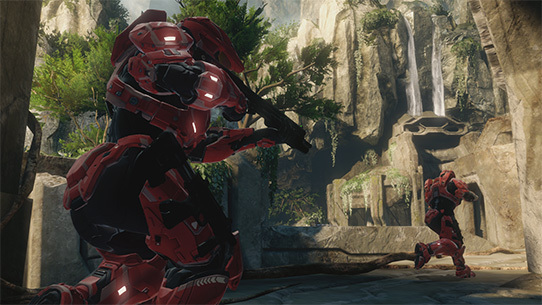 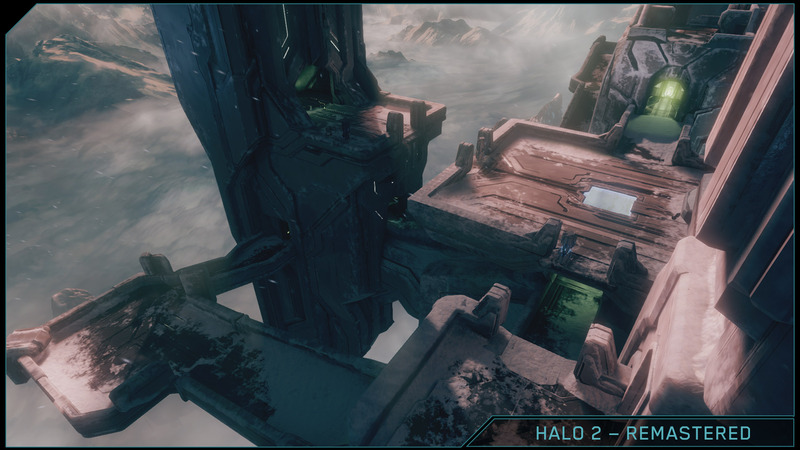 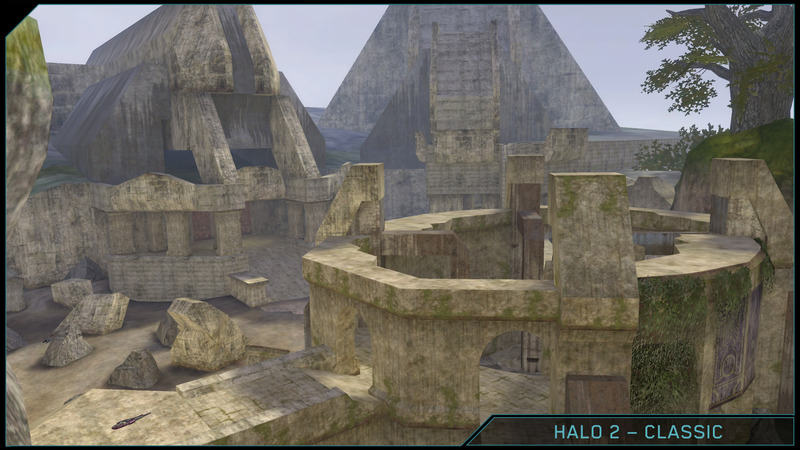 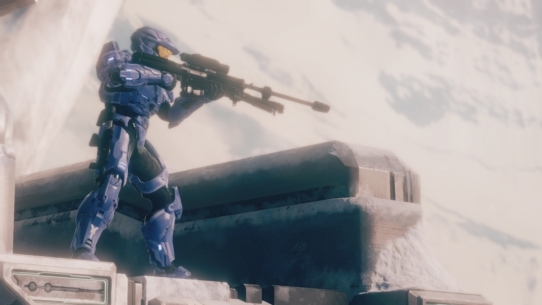 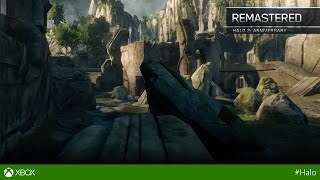 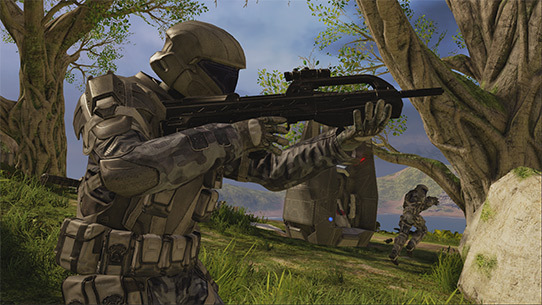 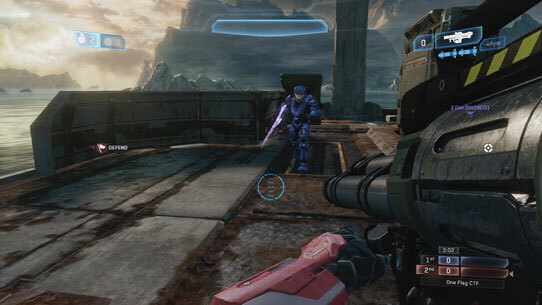 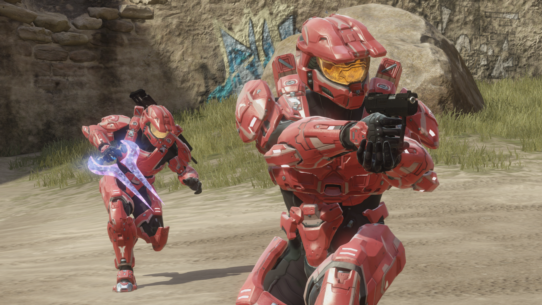 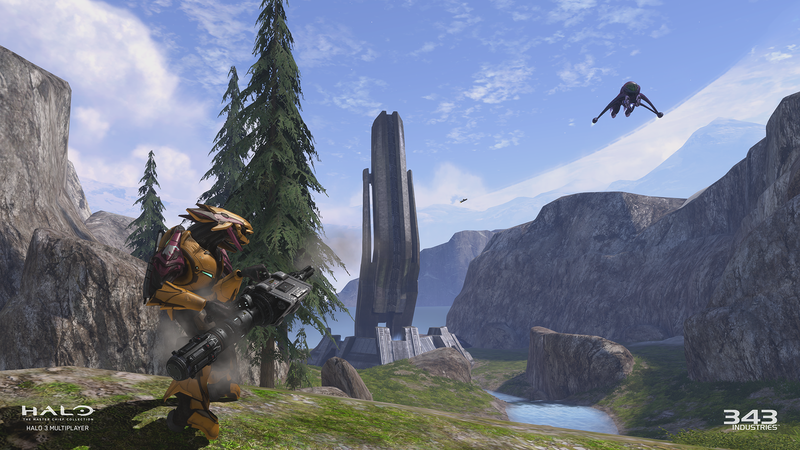 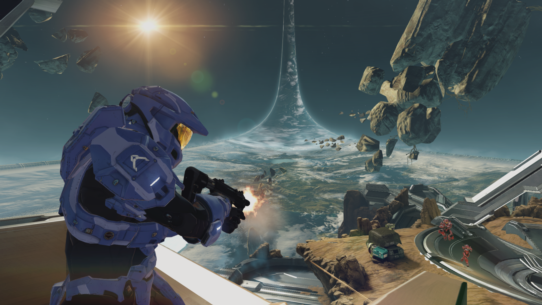 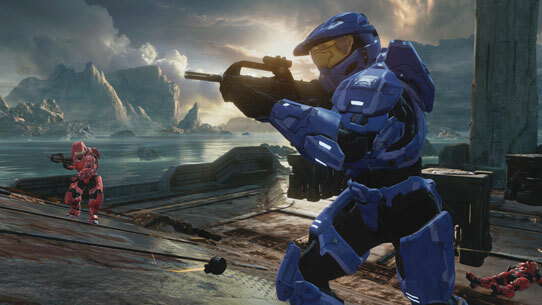 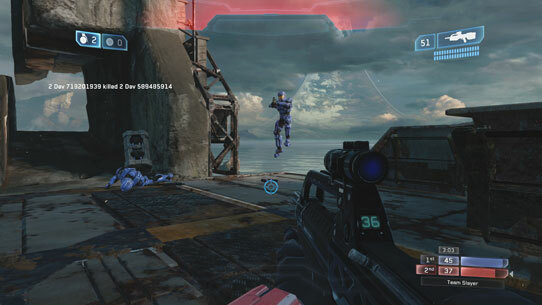 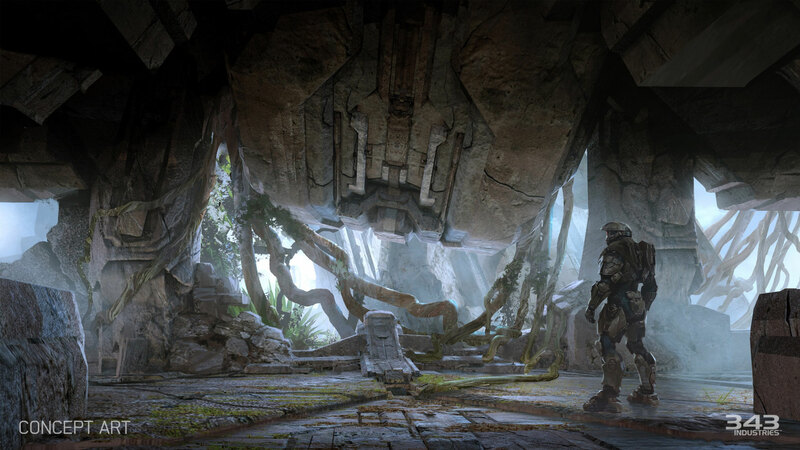 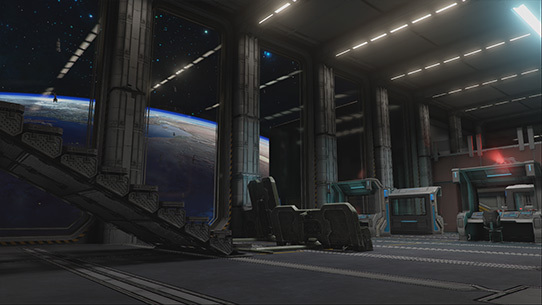 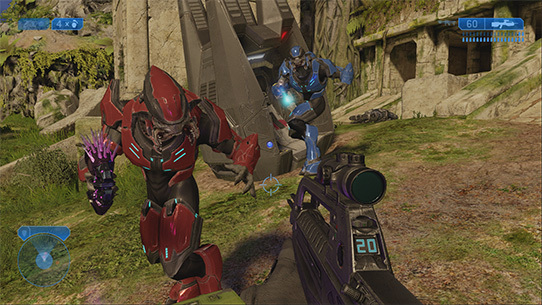 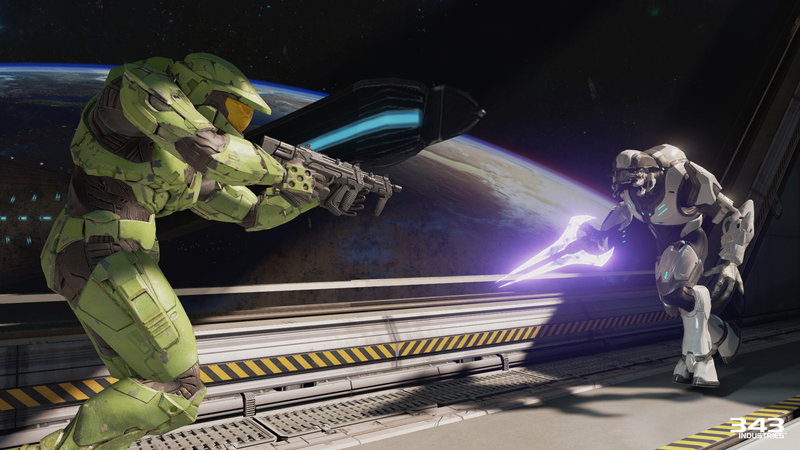 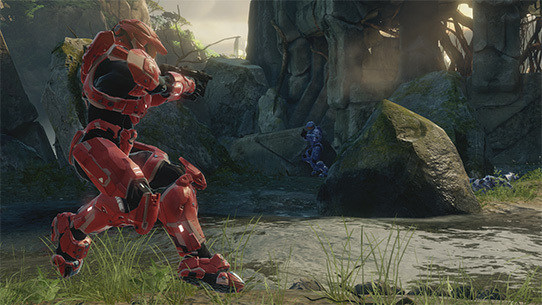 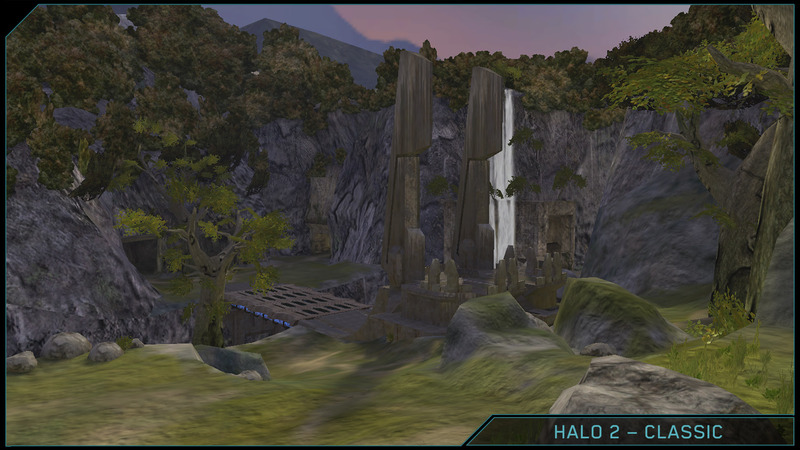 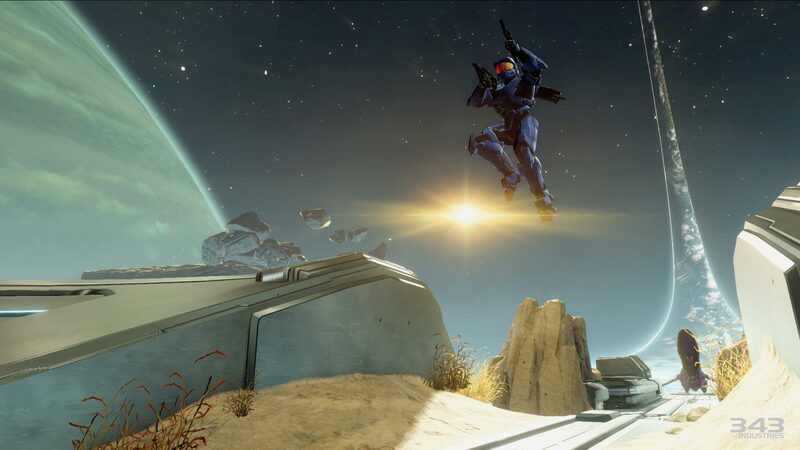 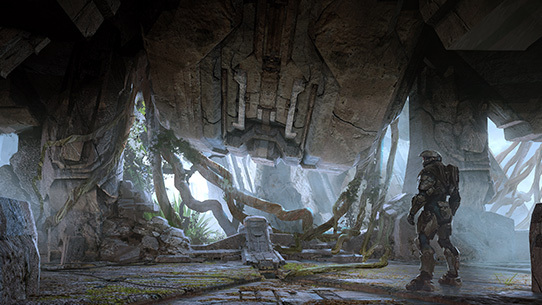 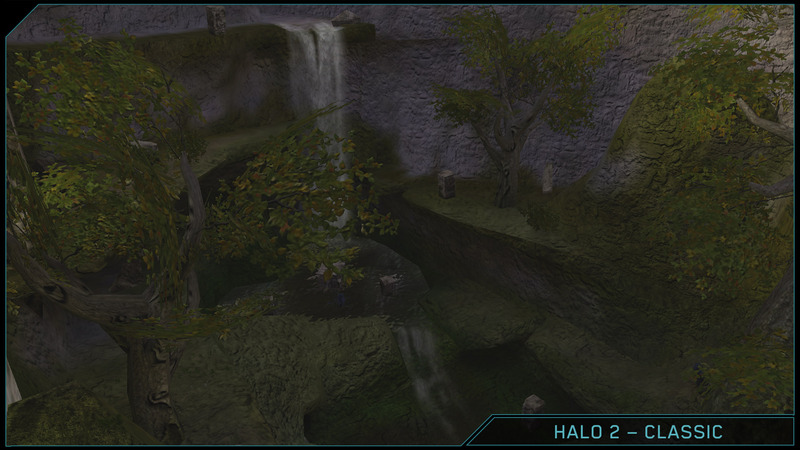 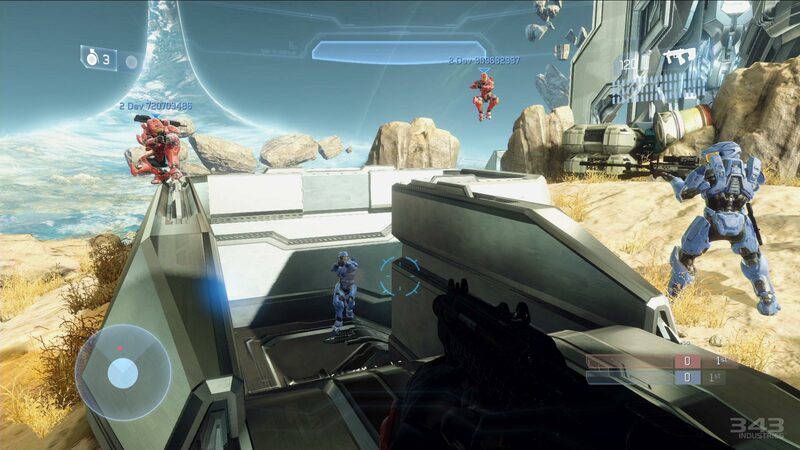 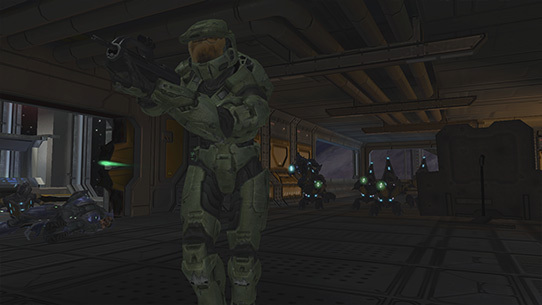 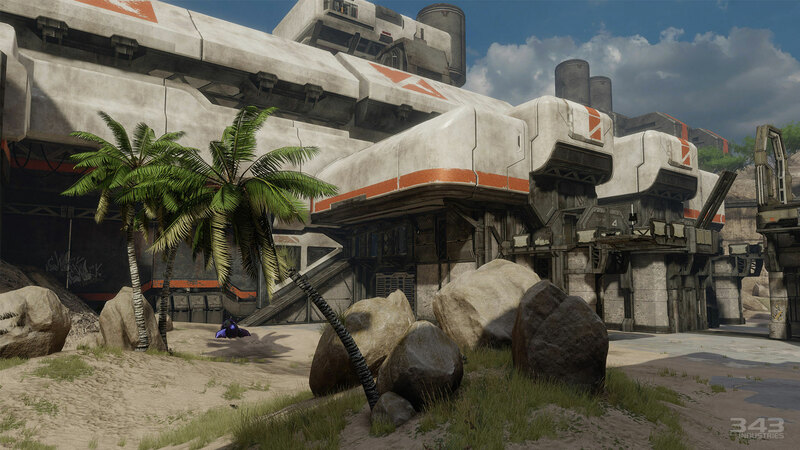 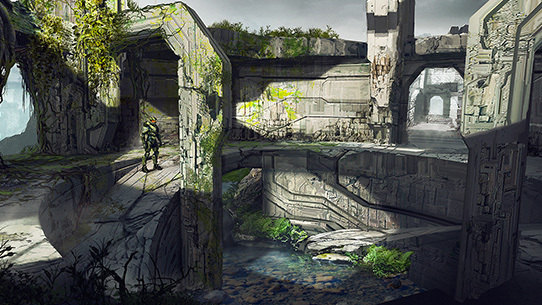 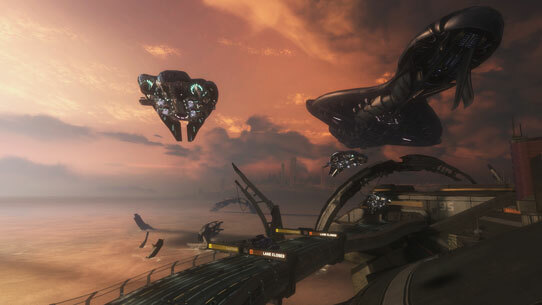 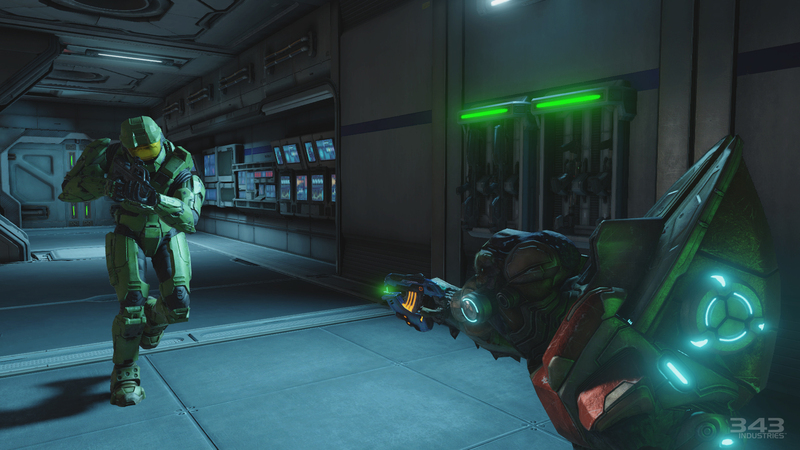 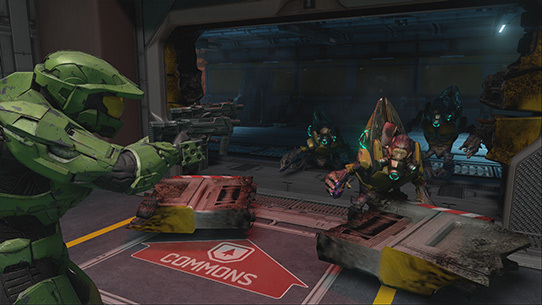 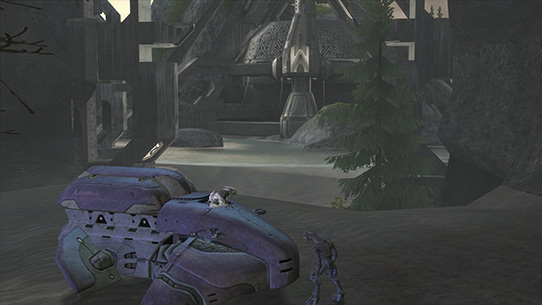 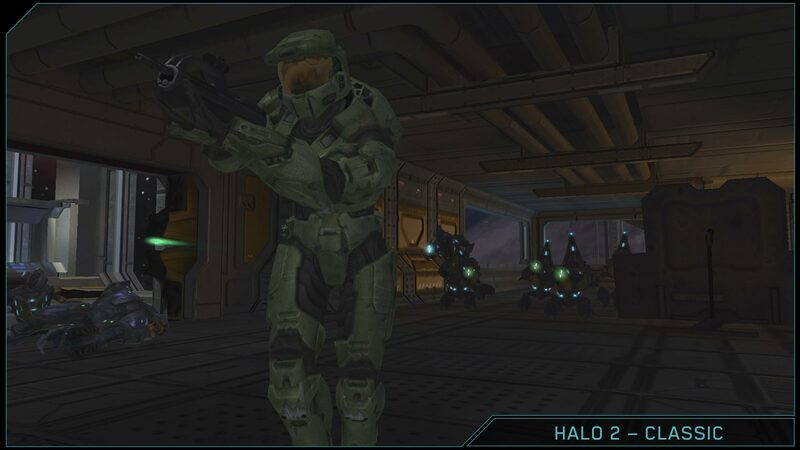 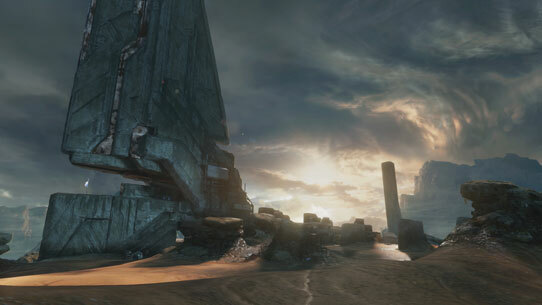 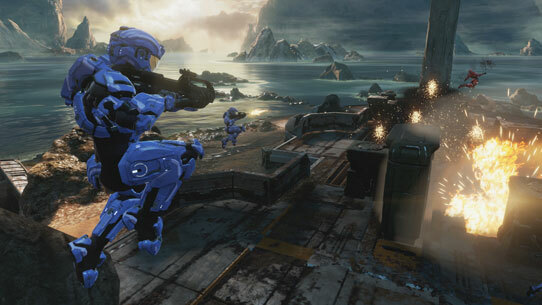 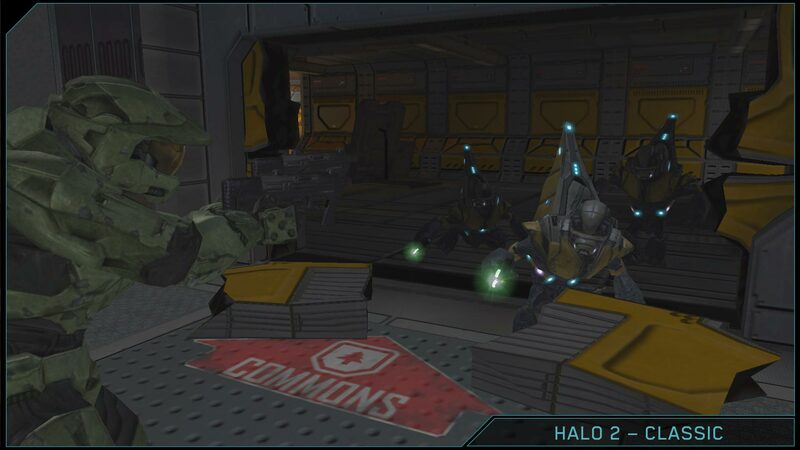 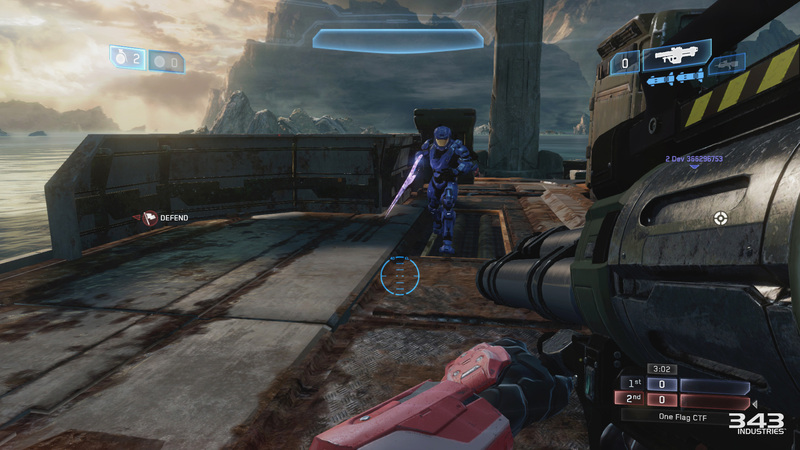 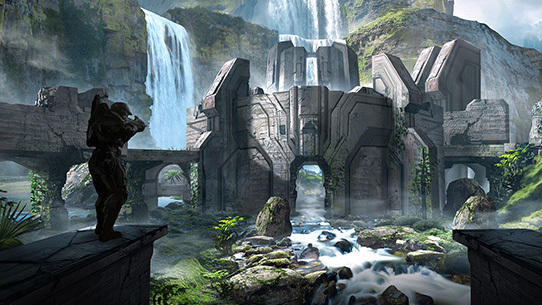 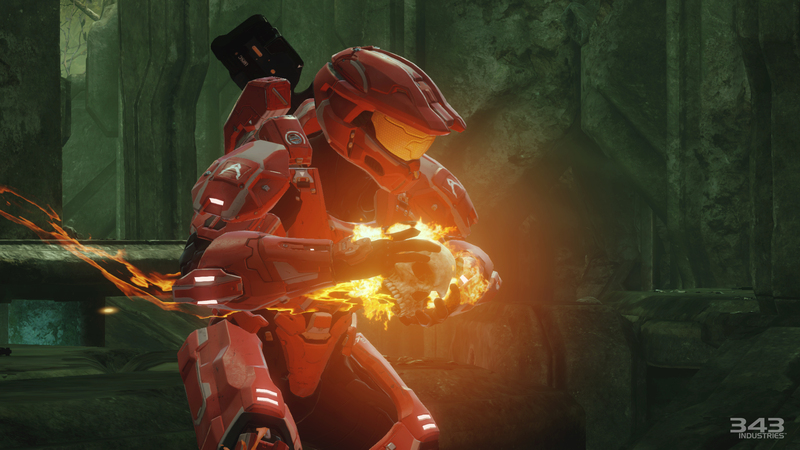 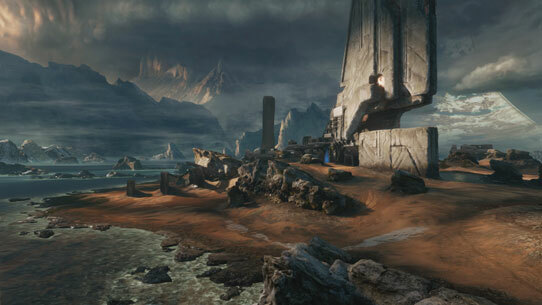 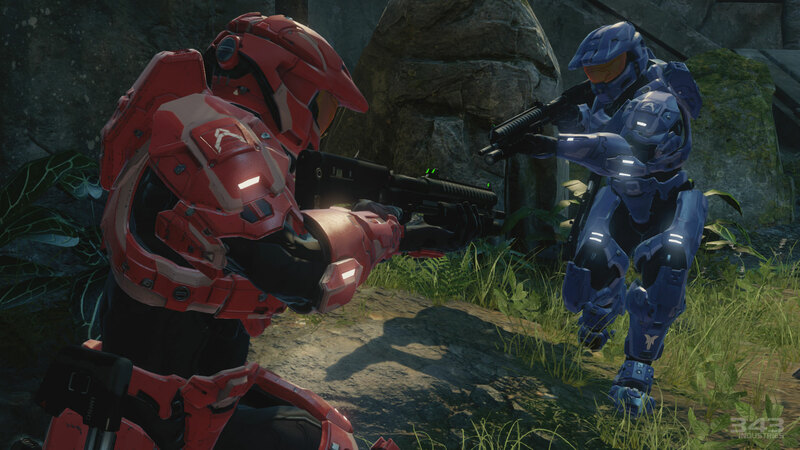 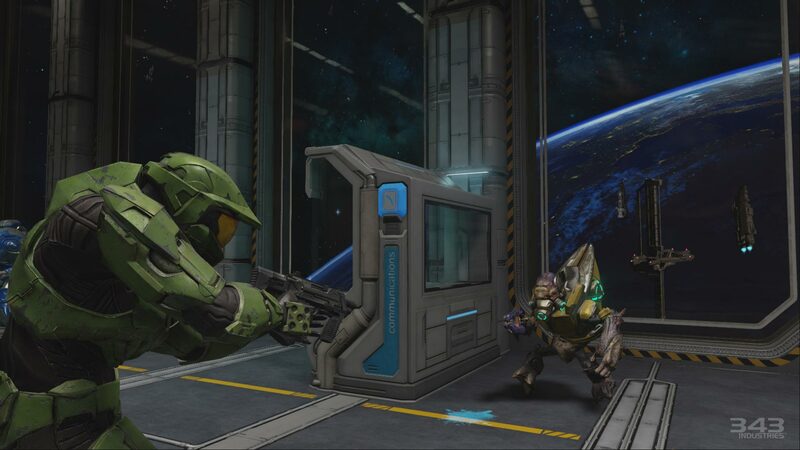 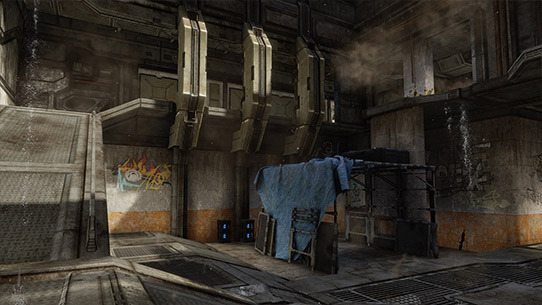 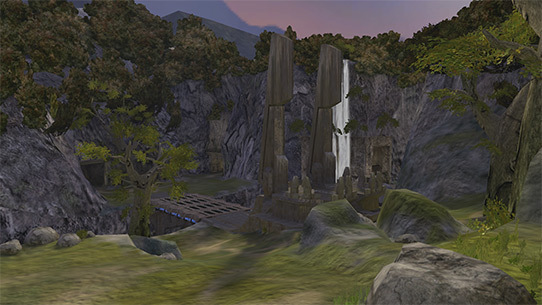 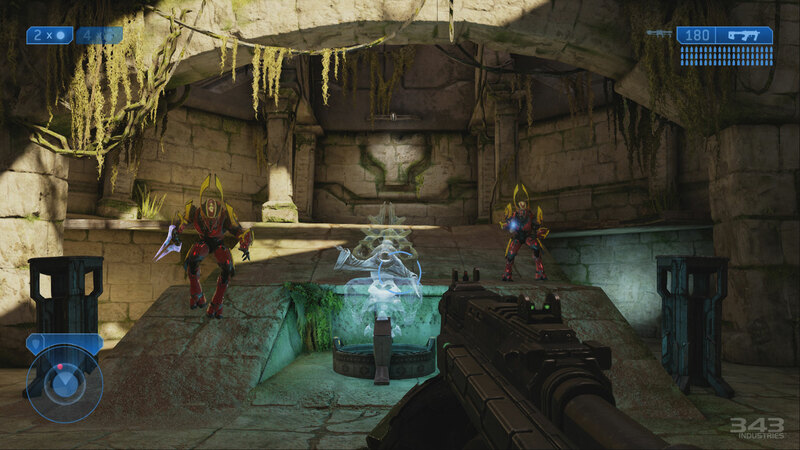 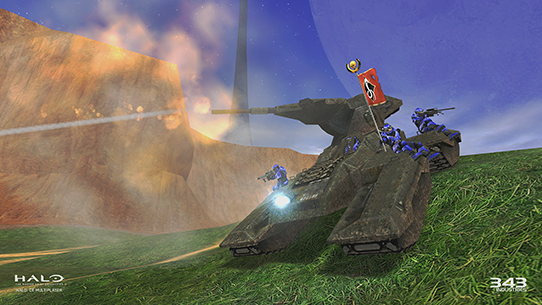 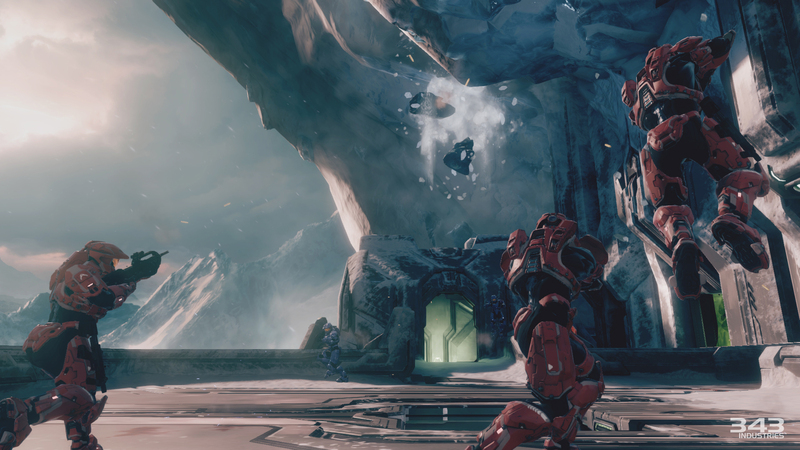 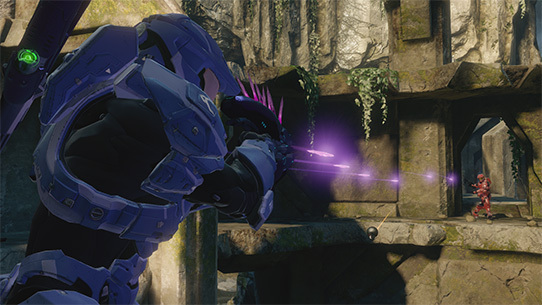 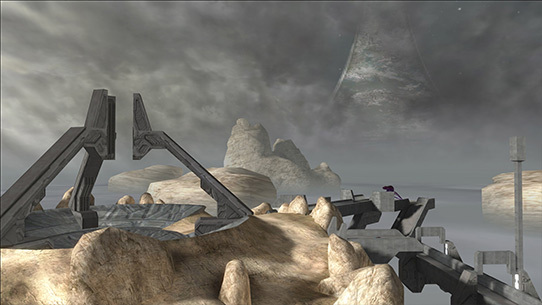 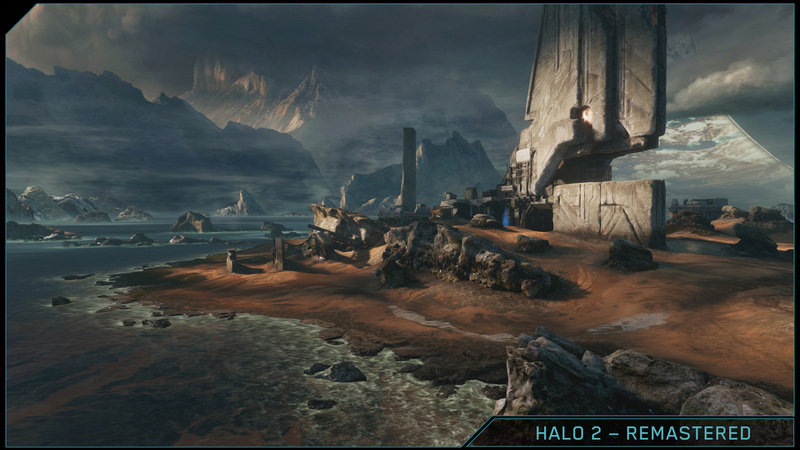 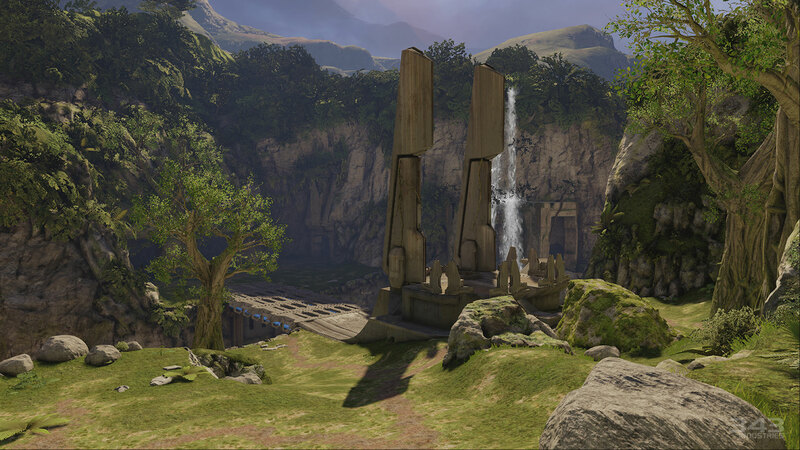 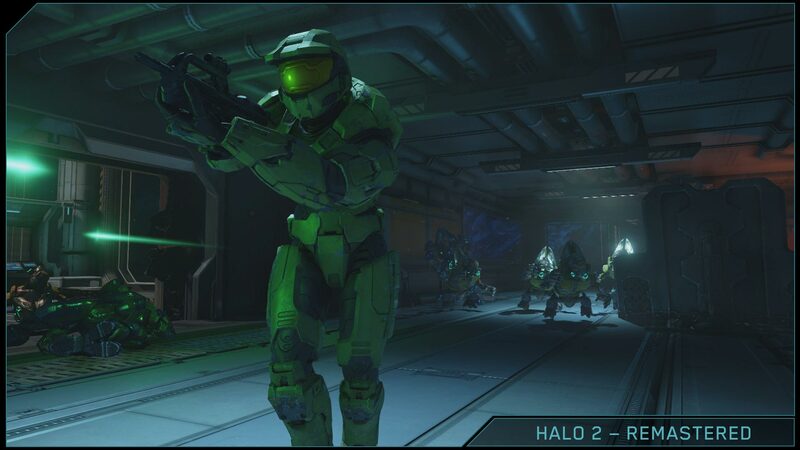 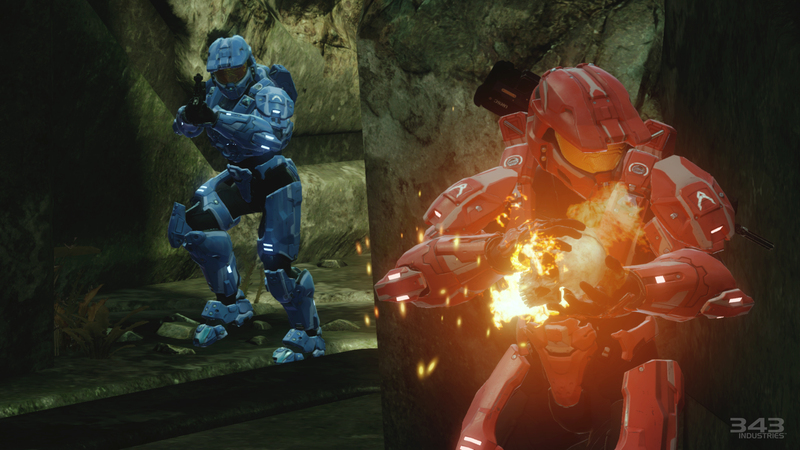 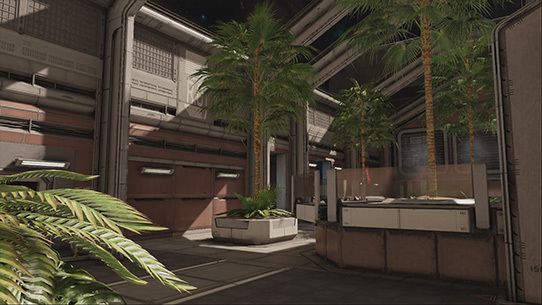 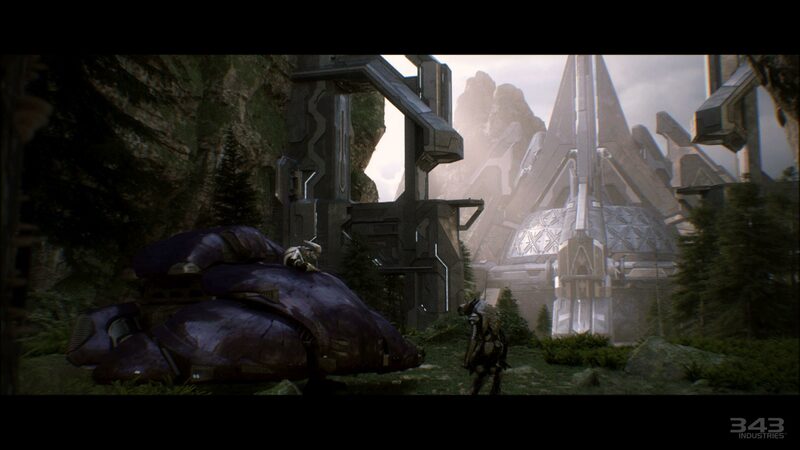 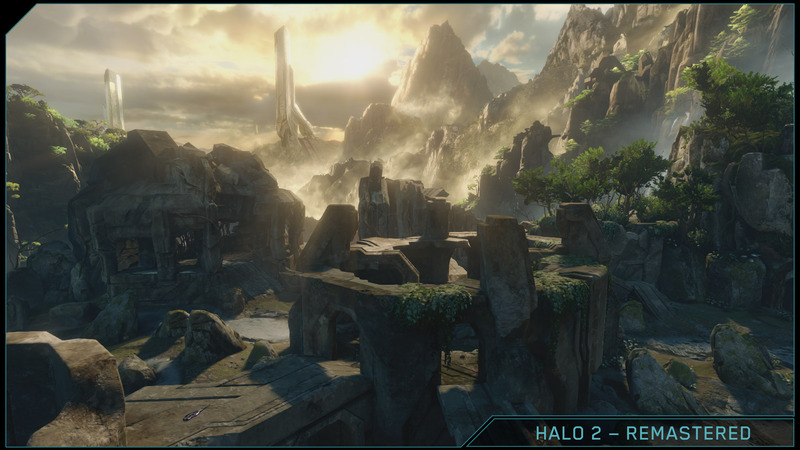 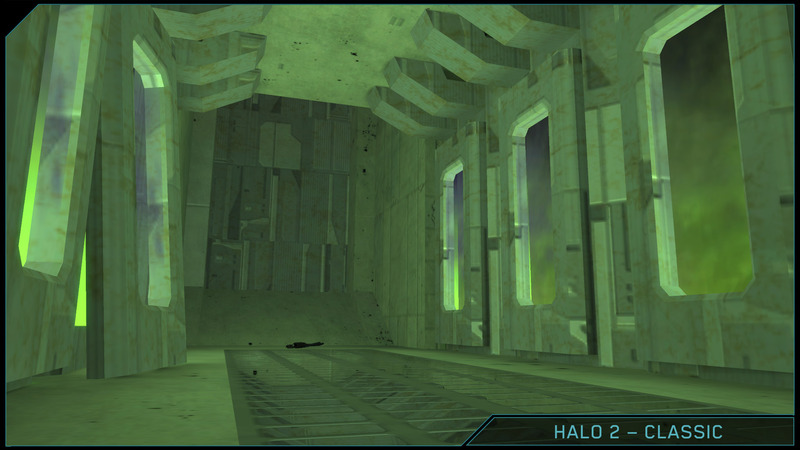 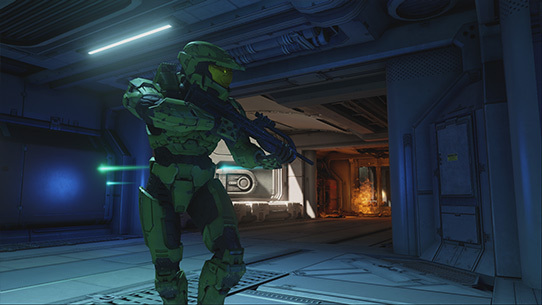 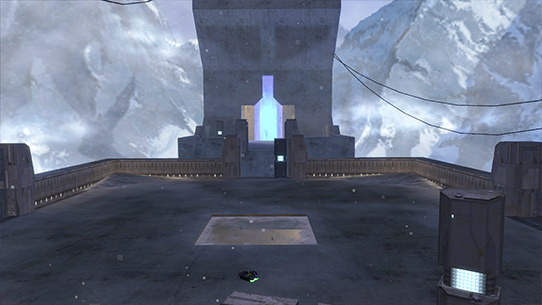 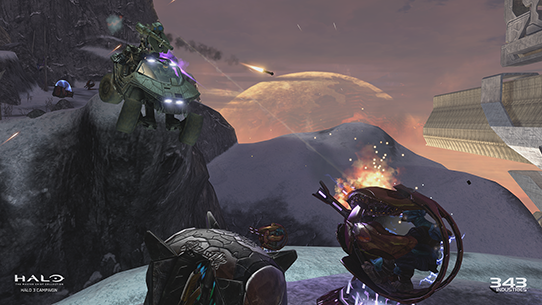 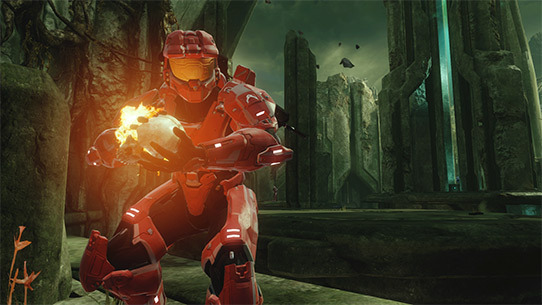 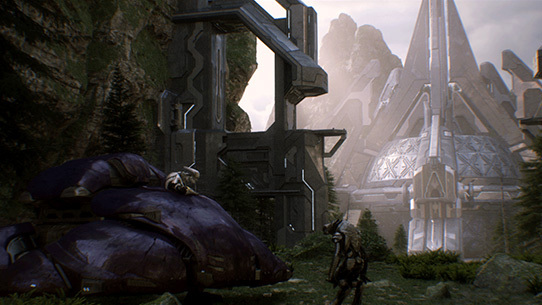 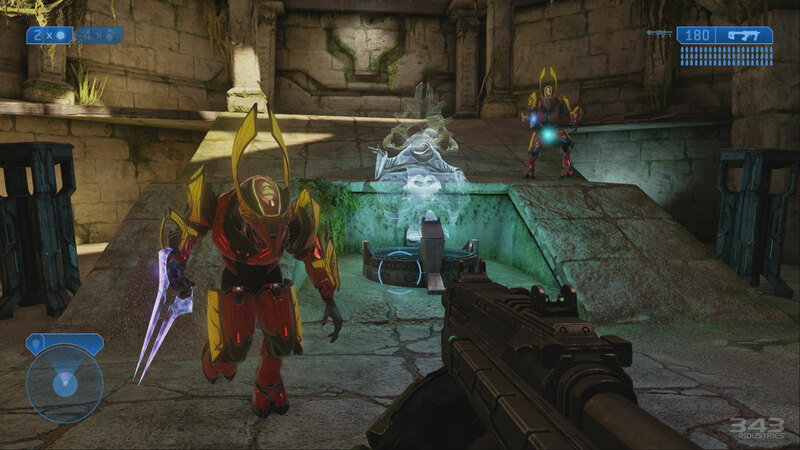 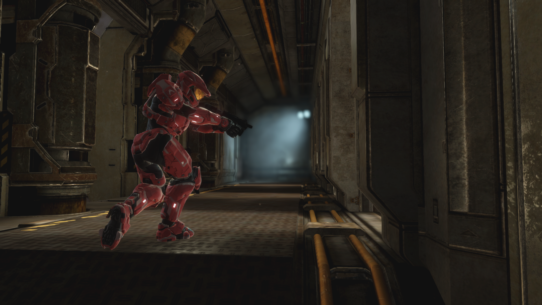 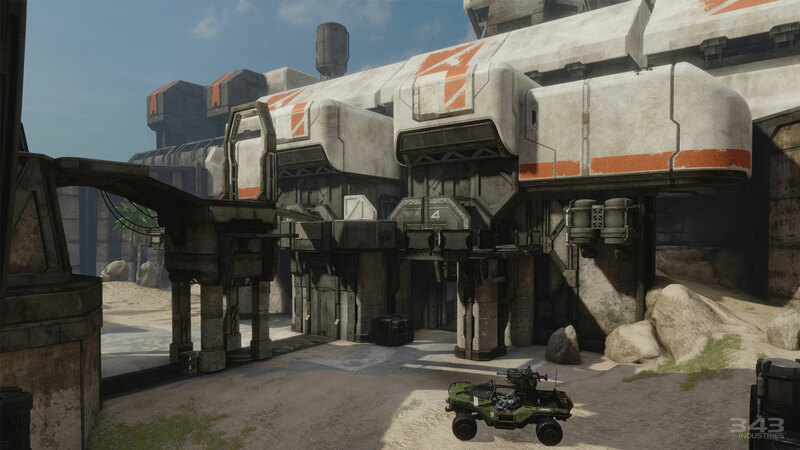 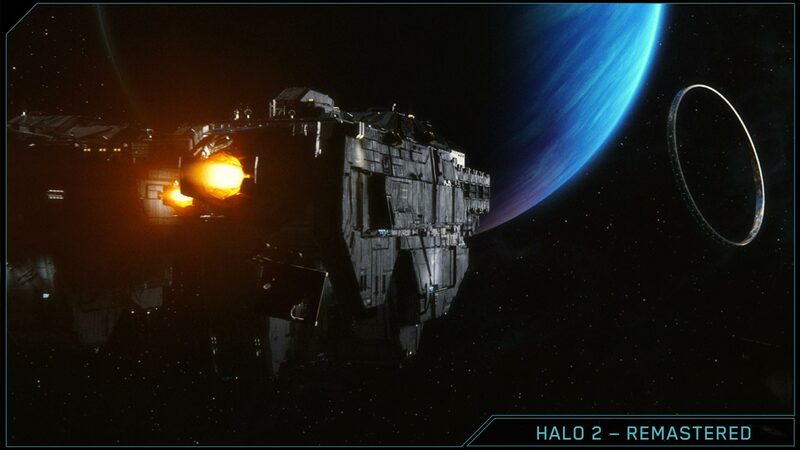 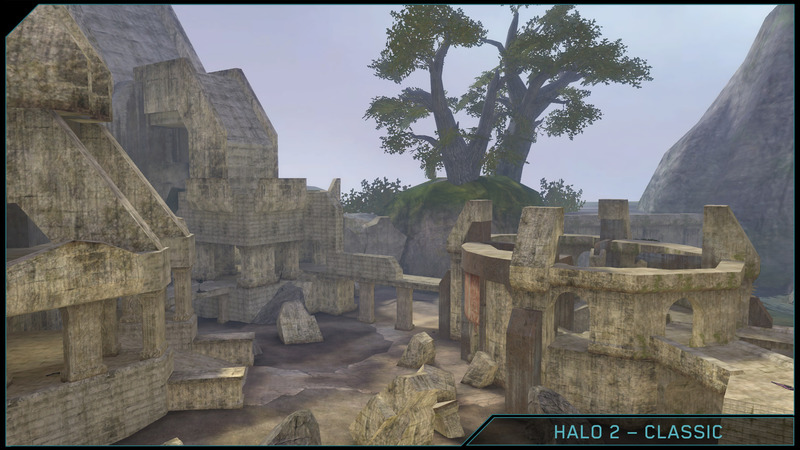 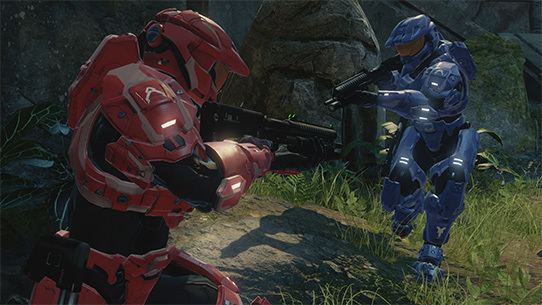 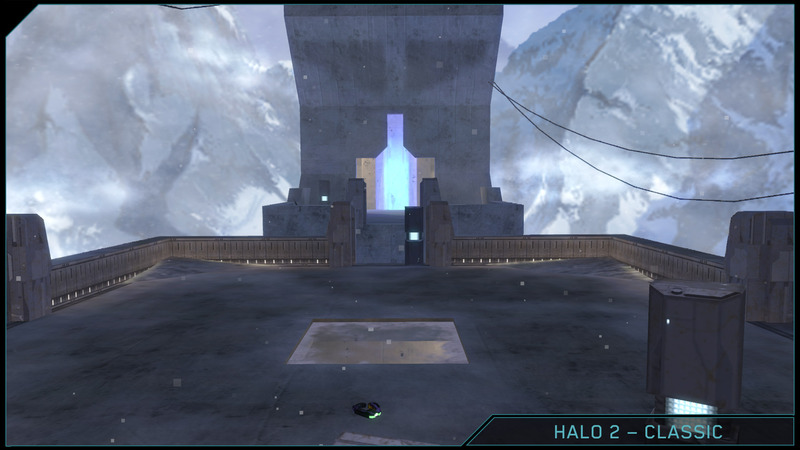 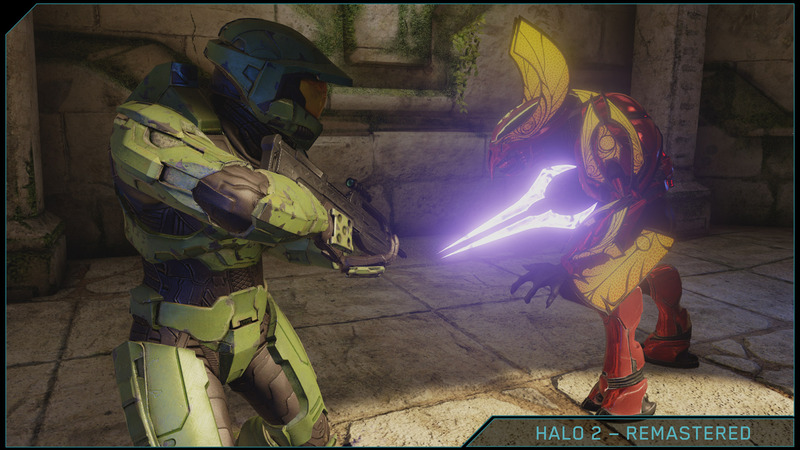 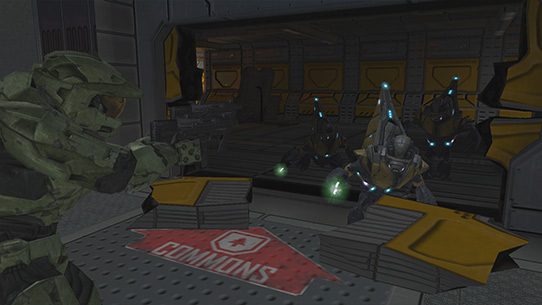 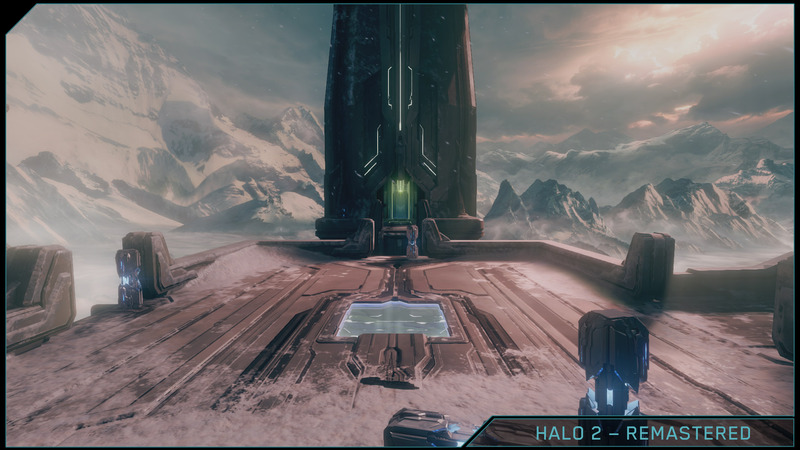 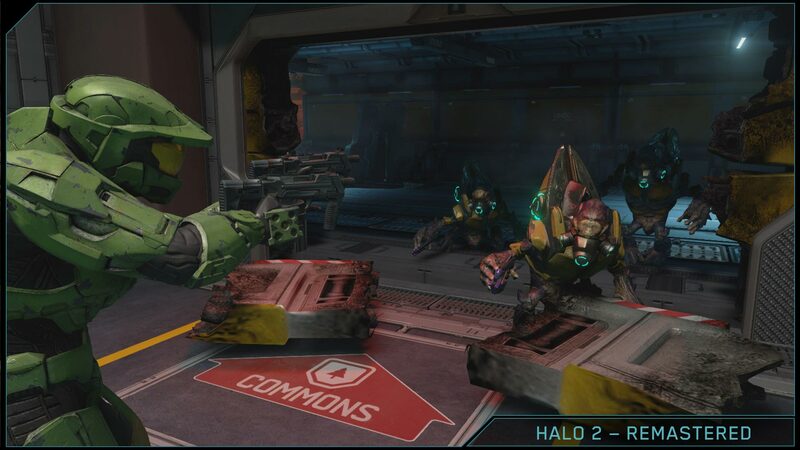 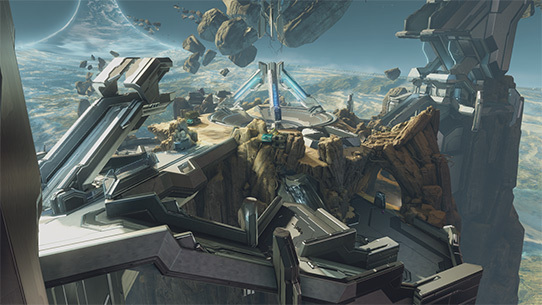 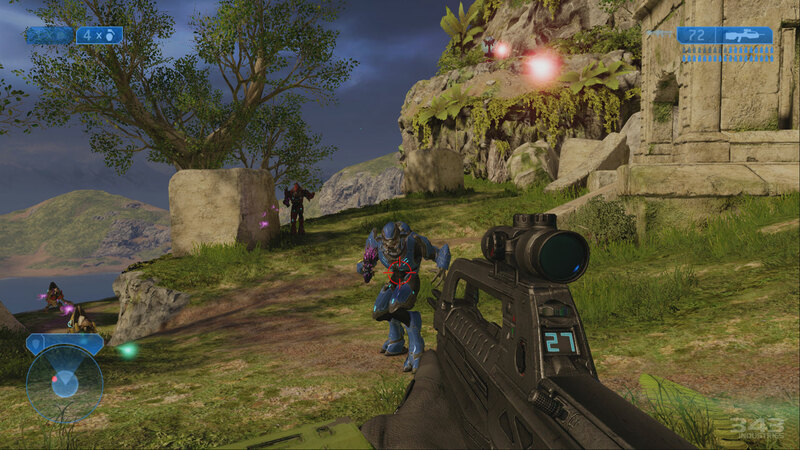 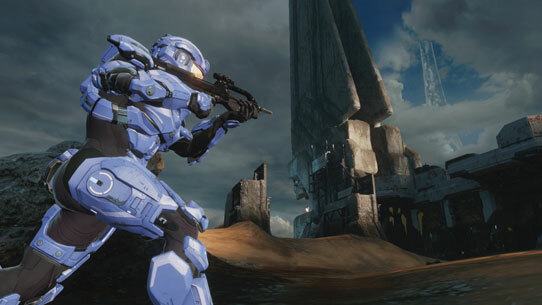 In addition to the 45 campaign missions you get with Halo: The Master Chief Collection, you can play with your friends on over 100 multiplayer maps (including the original Halo: Combat Evolved maps) and all Halo: Spartan Ops missions. 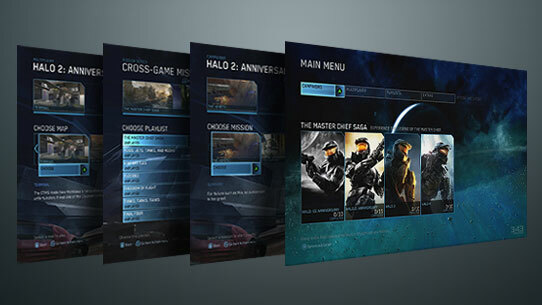 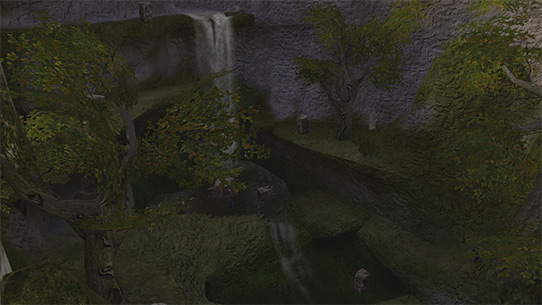 * With the Master Menu, play all four games from start to finish, or jump around and play your favorite missions. 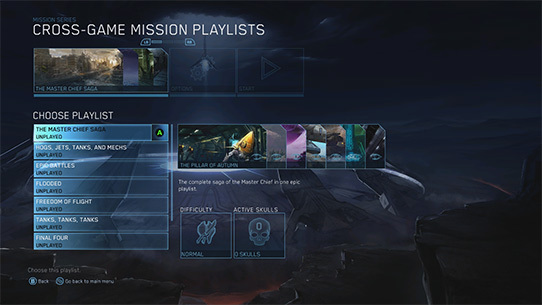 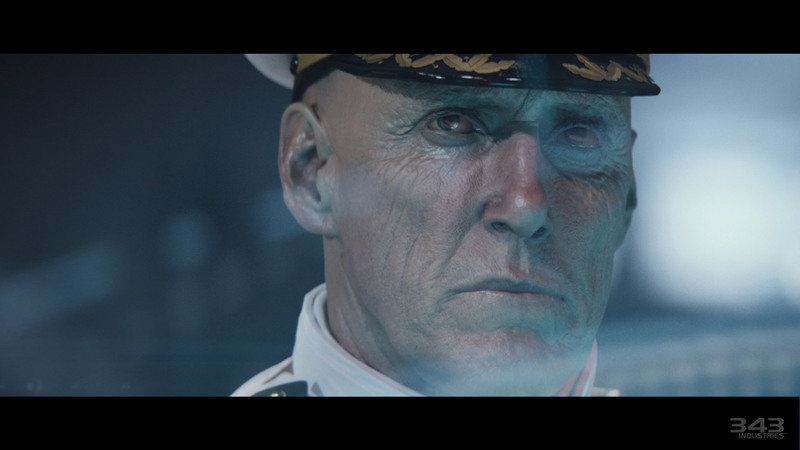 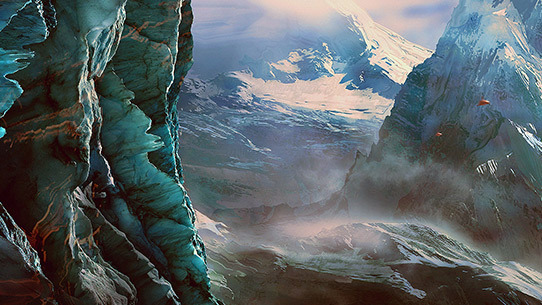 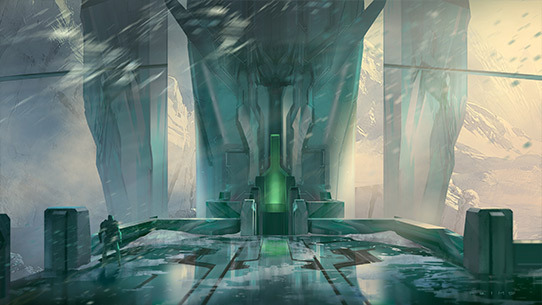 Use curated playlists to experience both the campaign and multiplayer modes in a whole new way. 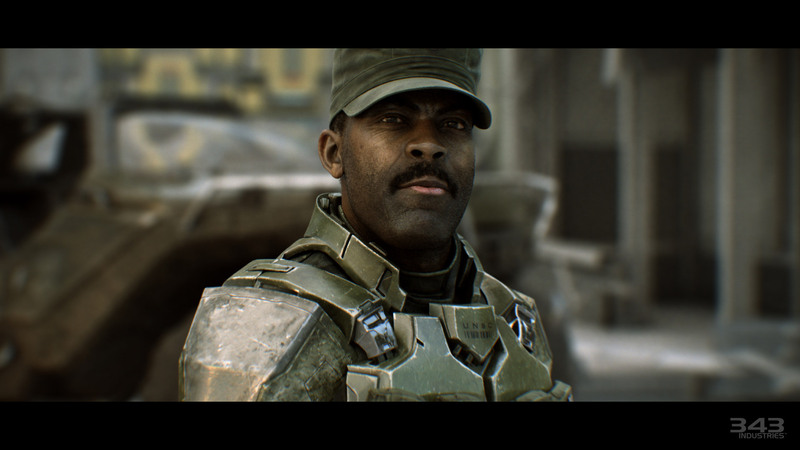 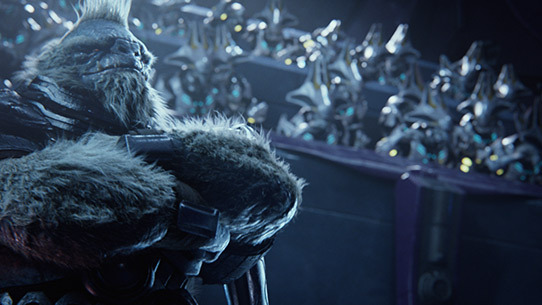 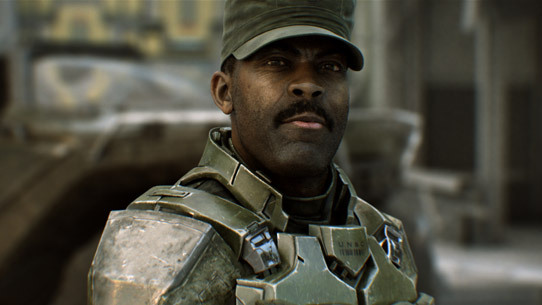 Halo: Nightfall provides insight into the origin and backstory of legendary manhunter Agent Locke (Mike Colter), a pivotal new character in the Halo universe who will play a key role in Halo 5: Guardians. 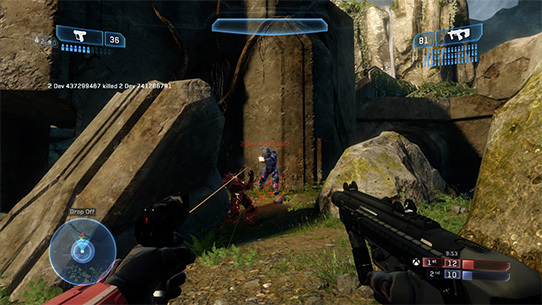 * Online multiplayer features require Xbox Live Gold membership (sold separately).